Image courtesy of Jim McKeeth. 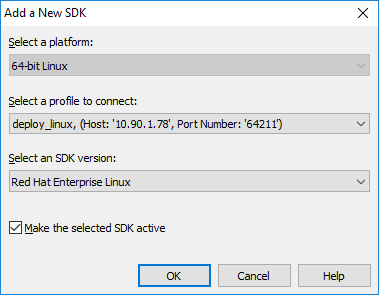 One of the more exciting features of the pending 10.2 release of Delphi and RAD Studio, is support for targeting Linux. 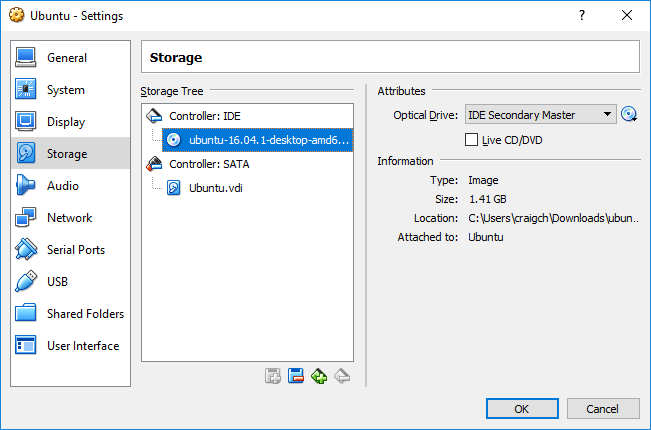 In this post, I’m going to step you through setting up your development environment to deploy applications to either RedHat Enterprise or Ubuntu 16.04. From here in I’ll refer to RAD Studio, Delphi and C++Builder as synonymous. Note that neither Delphi or C++Builder have been publicly released for Linux yet, but at the time of writing there is a Delphi beta available for subscription update users – ie most likely any active Berlin user – and a C++Builder beta will follow it soon. This post is going to become quite lengthy, and there may be parts not relevant to you. 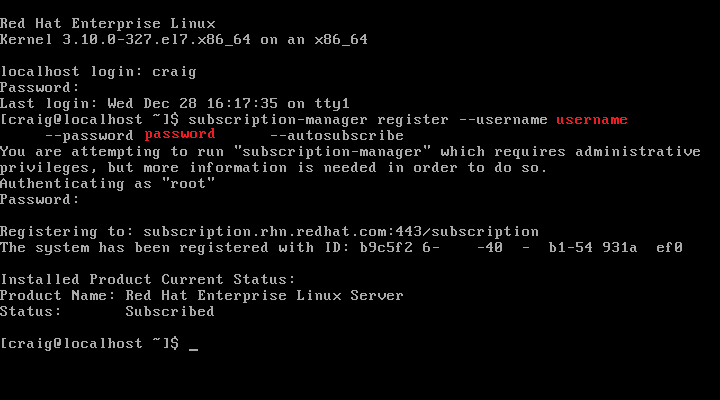 For example, if you already have a running RedHat server, you likely don’t need me to explain how to install one. 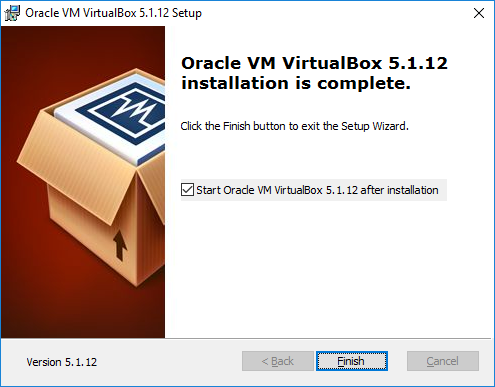 Similarly, you may already be familiar with some virtualization software and don’t need instructions on installing Oracle’s VirtualBox, I’ll break this post into sections so that you can skip to the parts that matter most to you. 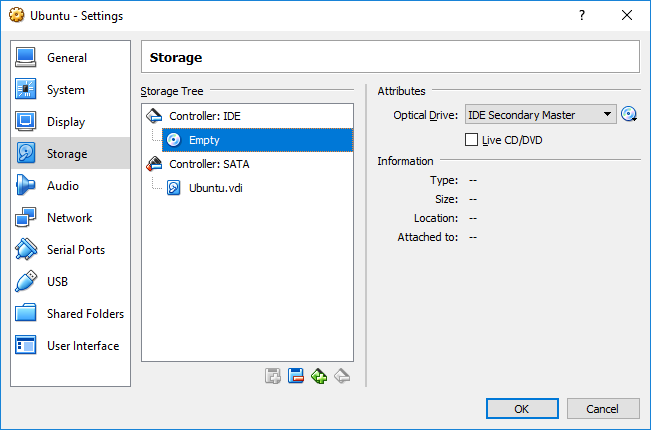 Creating a Virtual Machine for development. There are a lot of sections to cover here! As this post is long with several instructions, I’ll go relatively light on detail here and provide the installation options and configuration which works for me. If you have suggestions, or encounter problems following these instructions, or better yet, solutions to problems, please register and comment against this blog post so that others can benefit from your experience. Your first decision is going to be which distribution (or ‘flavor’) of Linux you’d like to use for your application deployment. 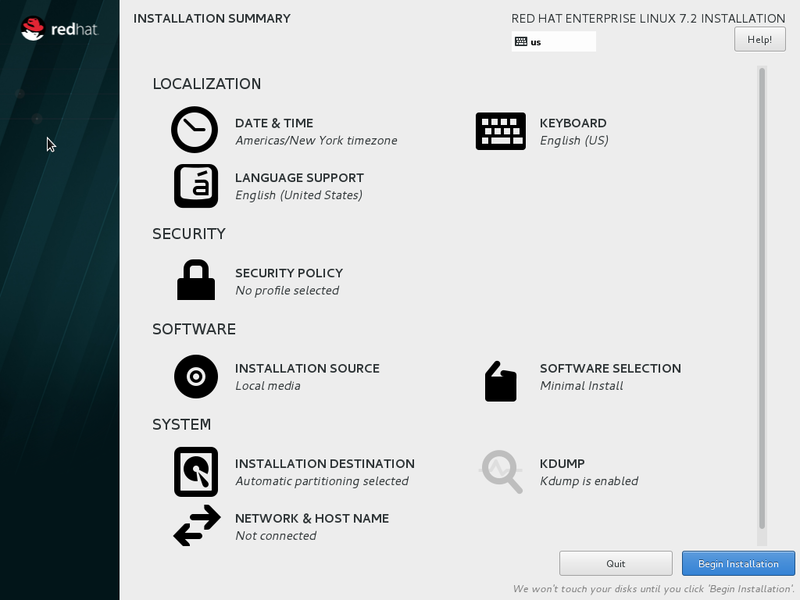 The Delphi / RAD Studio beta offers two options which will be officially supported, RedHat Enterprise and Ubuntu 16.04. (*note other flavors of Linux may work equally well, but due to there being wide variation among the available Linux based operating systems, official support is limited to these two popular distributions). So what’s the difference between the two distributions? I don’t plan to go into lengthy detail on this subject, you can research each platform for yourself to decide which you’d prefer to use, but I’ll give you some basic pointers to get started. A long time ago, as Linux operating systems were becoming popular, two leading distributions began to emerge from the fog of options. These were Debian and RedHat. Debian was founded by Ian Murdock under a manifesto which detailed it’s open source and open standards nature, and under the GNU Public License with intentions to encourage contributions, towards the development of the operating system, from it’s user community. 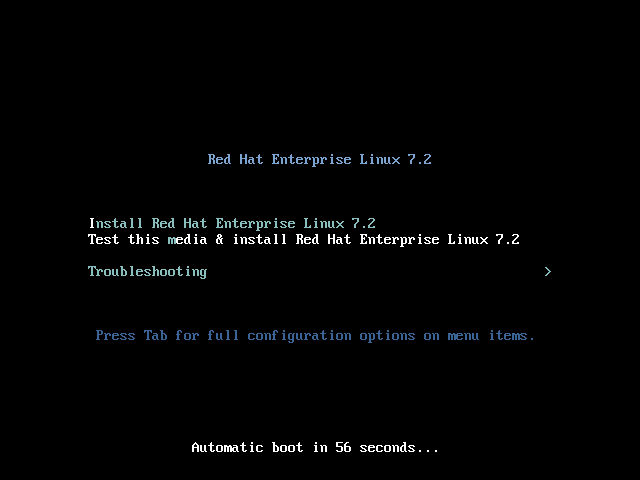 In contrast the Red Hat company released their “RedHat Commercial Linux”, which was later renamed as “RedHat Enterprise Linux (RHEL)”, with a more commercial model but along-side free to use, cost free editions named Fedora or Centos. Their model seemed aimed at merging the benefits of both commercial and open source development, while promoting the relevance of Linux to Enterprise customers. 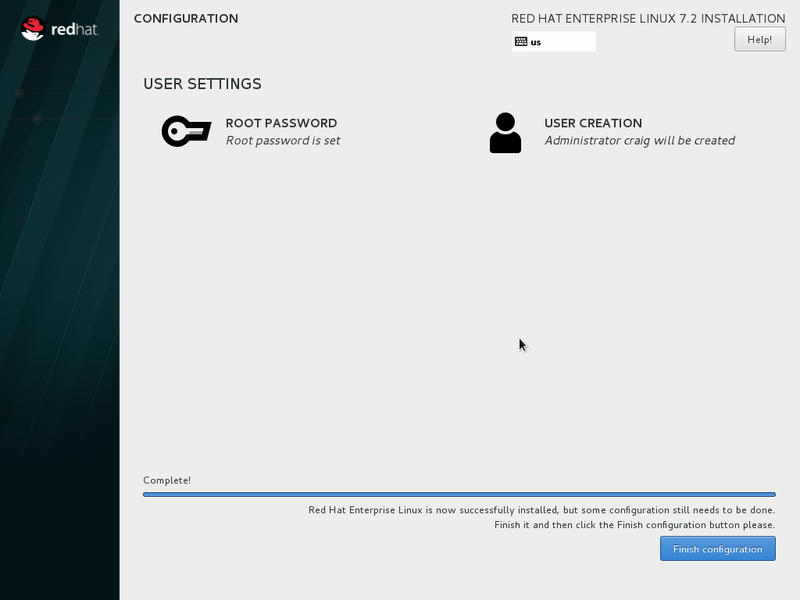 Red Hat therefore offer commercial enterprise support for RHEL, while honoring the open source nature of Linux with Fedora and/or Centos. 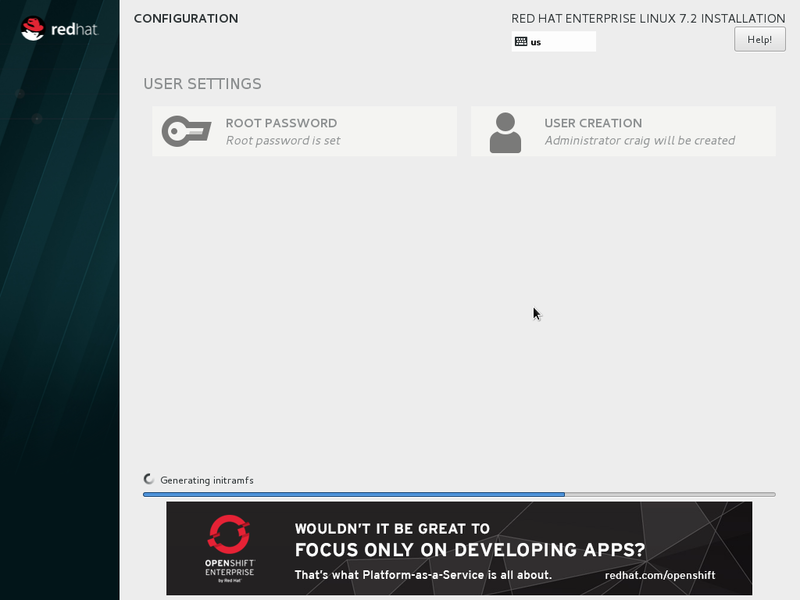 If you select RedHat as your target, you can get started for free with their Developer Subscription, but will need to pay for a commercial license before deploying your application within your Enterprise. 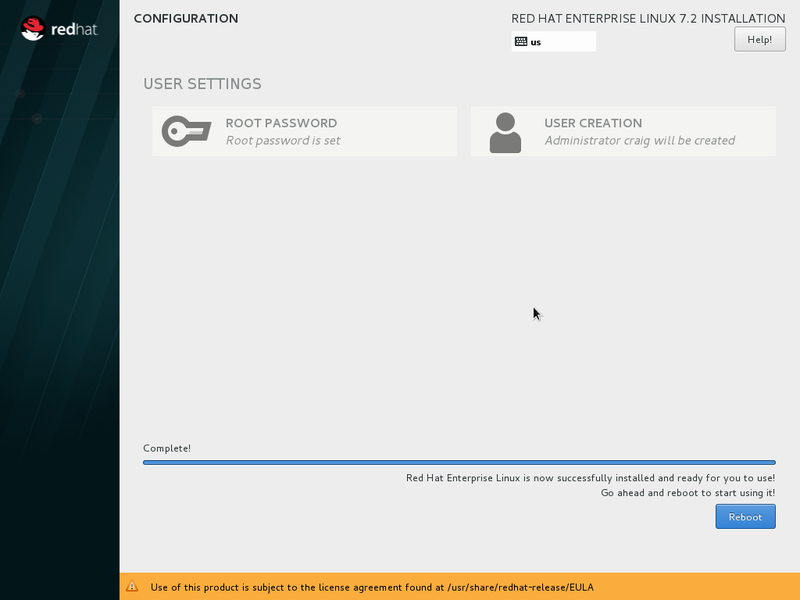 Of course, you could try using one of their cost free options of Fedora or Centos, which ought to be largely compatible, but these aren’t officially supported either by RedHat software nor by Embarcadero. Ubuntu is a fork of the Debian operating system which is developed and maintained by the UK company Canonical Ltd, originally founded and funded by Mark Shuttleworth, an entrepreneur from South Africa. 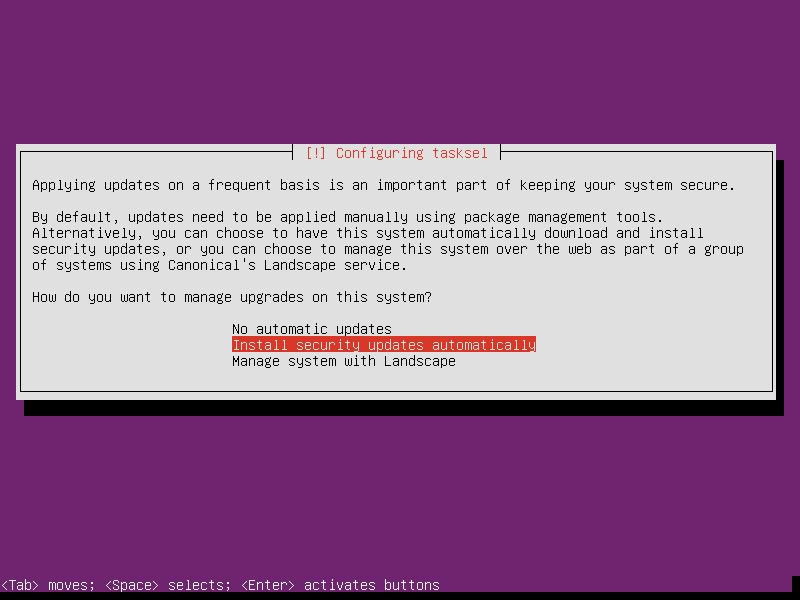 Canonical also offer commercial support for enterprise users, however, due to the manifesto first laid out for the Debian system by Ian Murdock, there is no commercial version of the operating system it’s self. Home users and community members get the same version of the operating system that commercial customers do, but with community based support rather than commercial support. 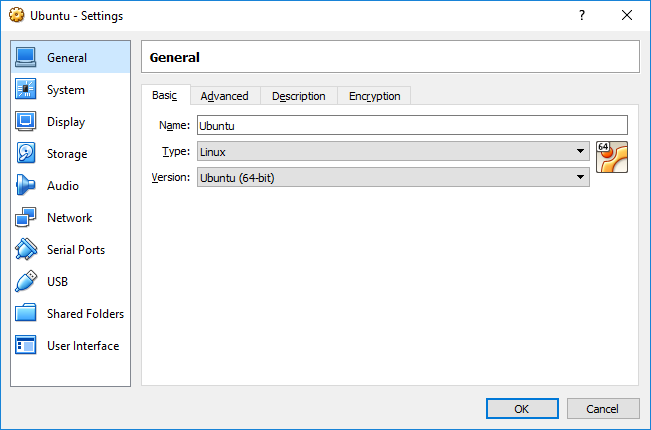 If you select Ubuntu as the target for your application, you can develop and even deploy your application without paying for the operating system, but if you do, you’ll be at the mercy of community support having foregone the option of commercial support. 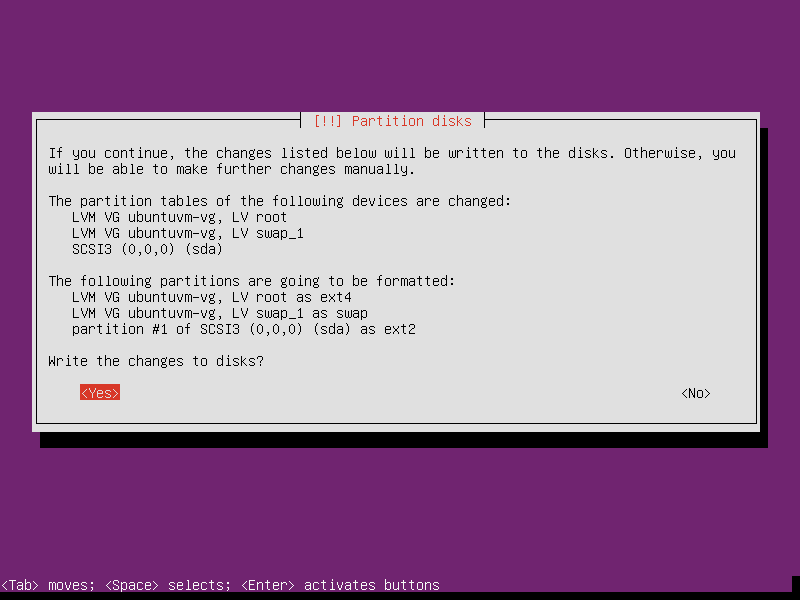 Unless you have an existing server, you’ll need an ISO image (disk image) of either RedHat or Ubuntu ready to be installed onto a virtual machine. Download both VirtualBox for your windows host, as well as the extension pack. 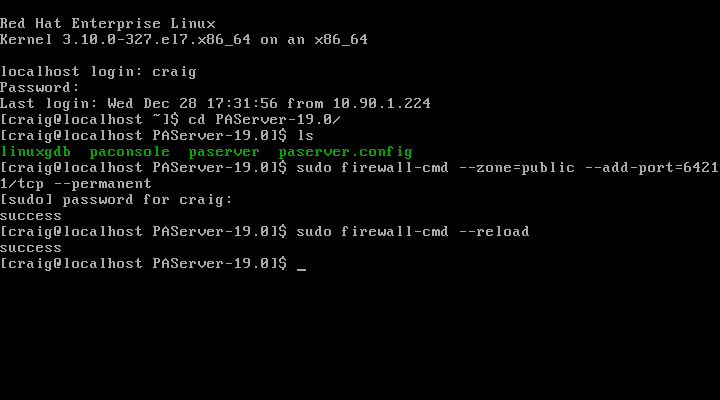 We’ll need a way to transport the PAServer portion of the RAD IDE onto the linux machine. 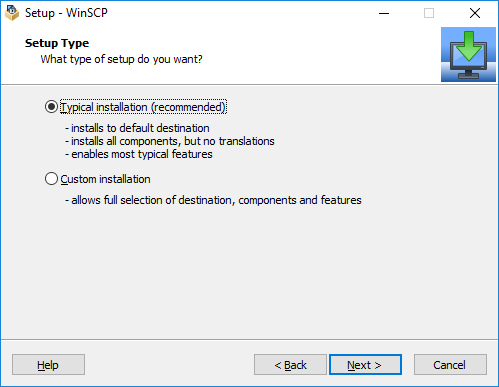 For this I plan to use WinSCP which uses SSH to transfer files to our linux server. 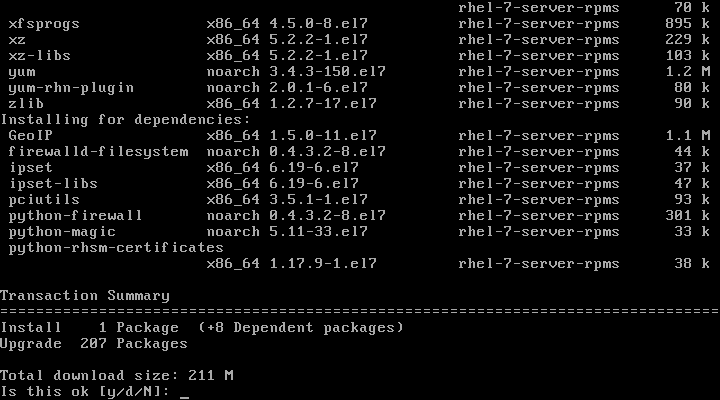 Both versions of linux support an SSH server which makes this convenient. 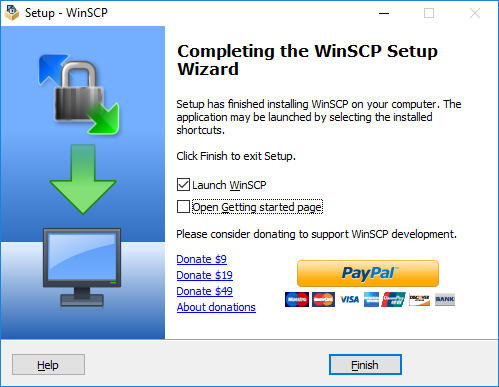 You can download WinSCP here: https://winscp.net/eng/download.php <- *Warning* While this is an excellent free tool, this is an irritating website with ads which appear as download links, be careful to download WinSCP and not something else. 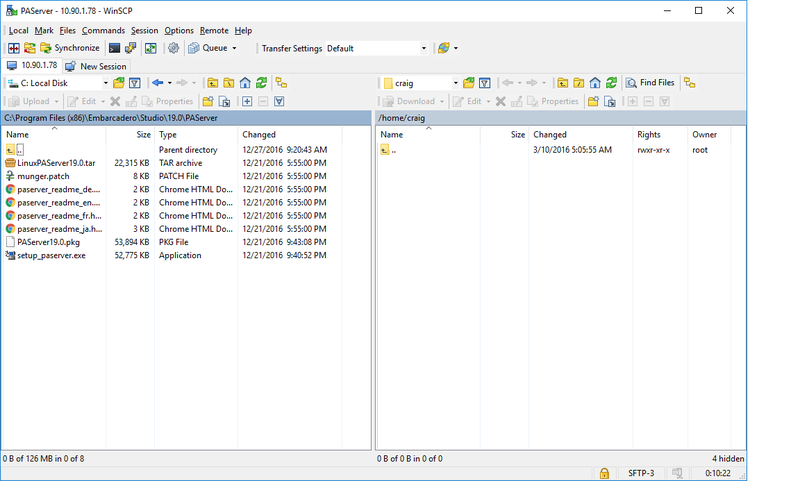 Delphi or RAD Studio 10.2 Enterprise edition or higher. Apologies to those of you that are not on the Beta Program and will therefore have to wait for the official release, hopefully sufficient time has passed between me writing this, and you reading it, that you have access to a Linux supporting version of either Delphi or RAD Studio. 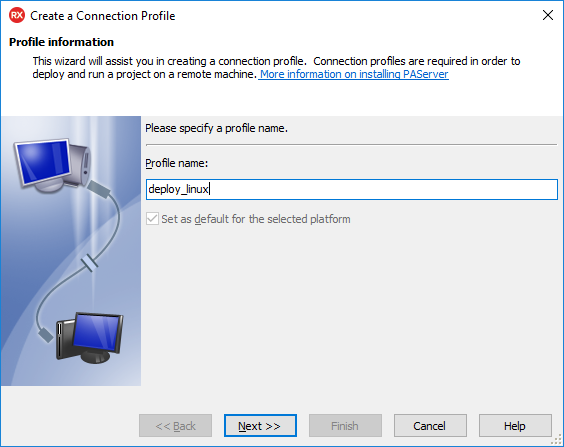 Sit and wait, while agreeing to requests from windows to run the installer. 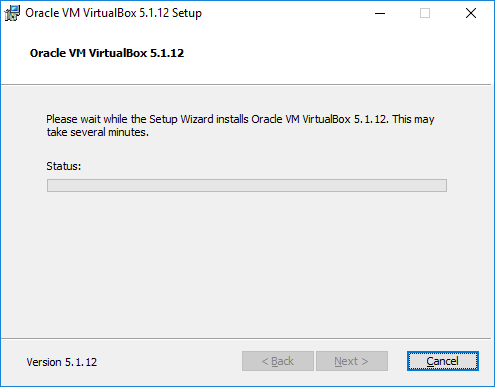 If the checkbox for “Always trust software from ‘Oracle Corporation'” is not checked, consider checking it so that you don’t get a warning for each driver. 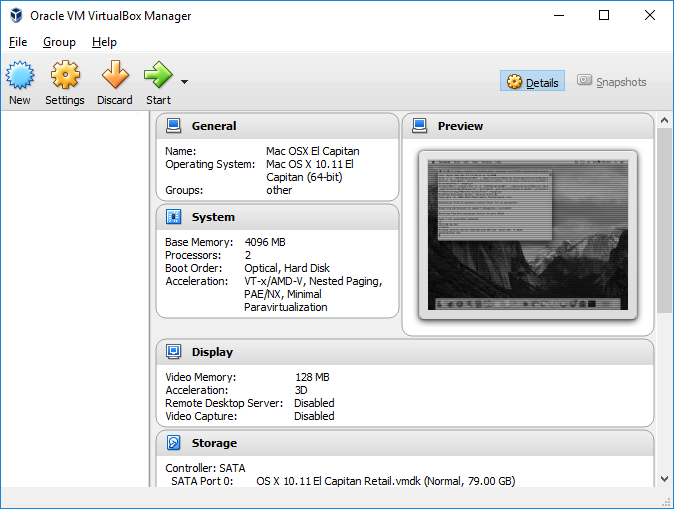 VirtualBox should now open and appear as in the screenshot above. 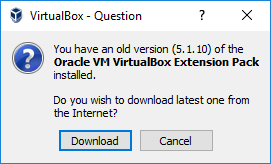 This dialog is asking if you’d like to download the VirtualBox extension pack. If you followed my advice in the “You will need” section, you’ll already have this downloaded, otherwise hit “Download”. If you already downloaded the extension pack, simply double click on the file you downloaded to install it. 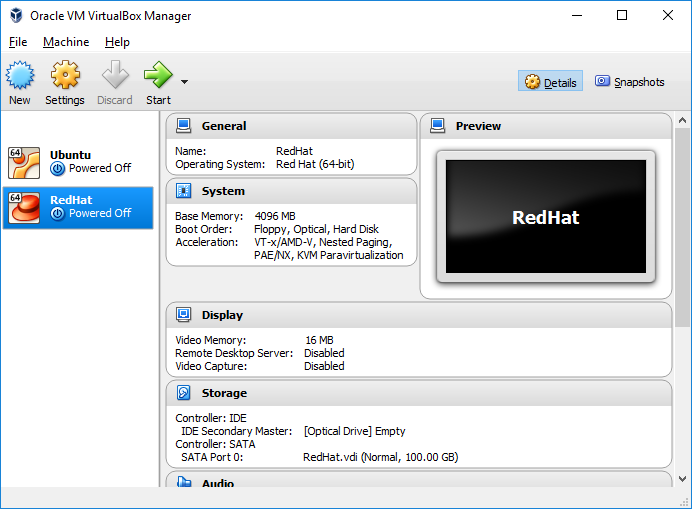 Before installing RedHat or Ubuntu into a virtual machine, we must create a suitable virtual machine for the OS to run on. 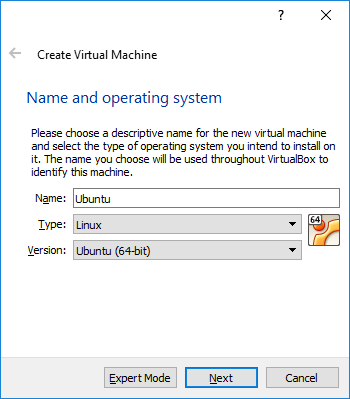 Give your virtual machine a name. 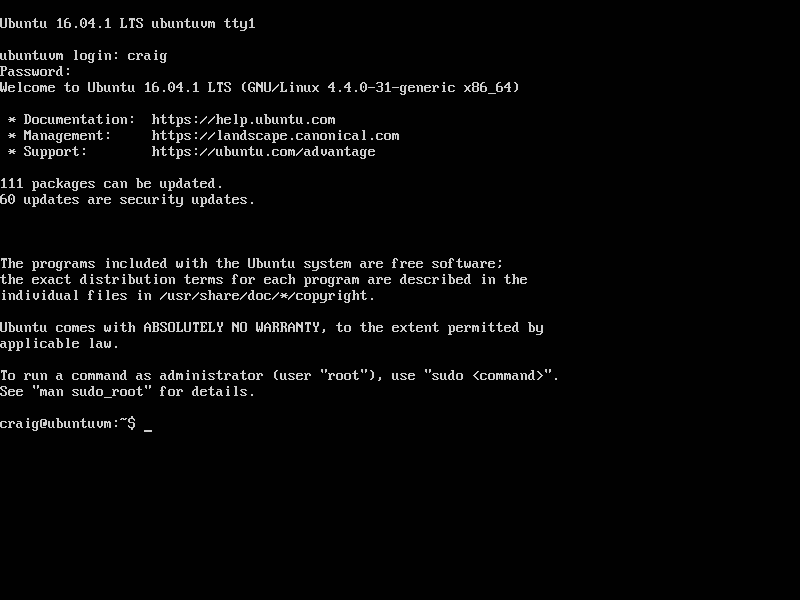 You can call your VM anything you like, however, I tend to name my machines after the OS that I’ll be installing, so in the screenshot you can see that I named this one “Ubuntu”. From the drop down boxes (if they don’t update automatically based on the name), select “Linux” and then either “Ubuntu (64-bit)” for a machine intended to run Ubuntu, or “Red Hat (64-bit)” for a machine intended to run Red Hat. 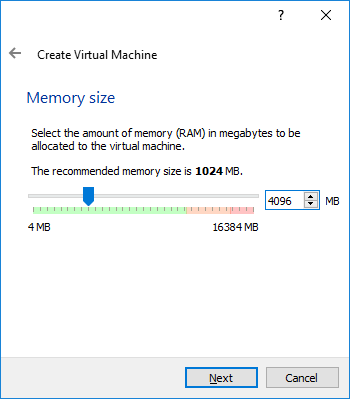 Now you need to specify the amount of your system RAM which will be allocated to the virtual machine when it runs. 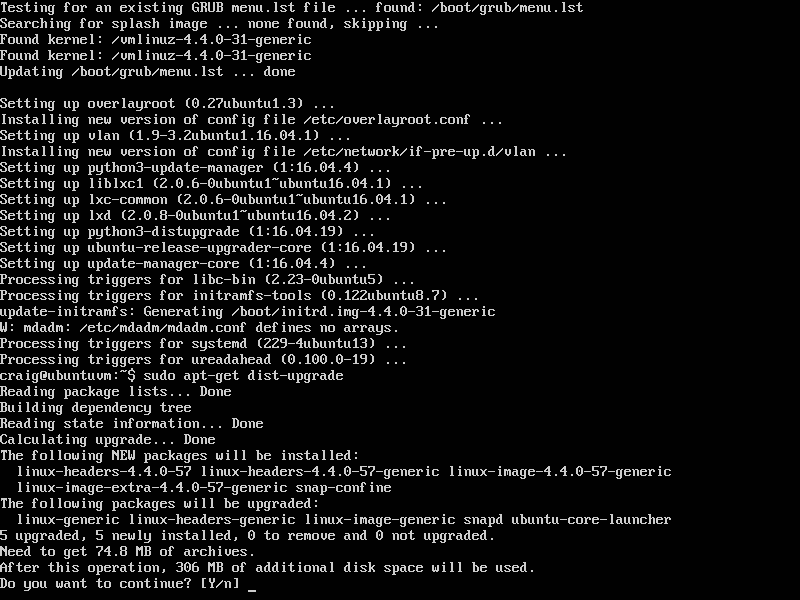 Both RedHat and Ubuntu require 4096MB (4GB) or higher. 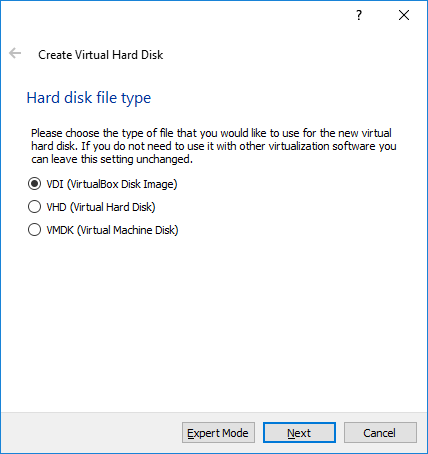 In this step you’re asked to provide a name for the disk image that will be created for your virtual machine. 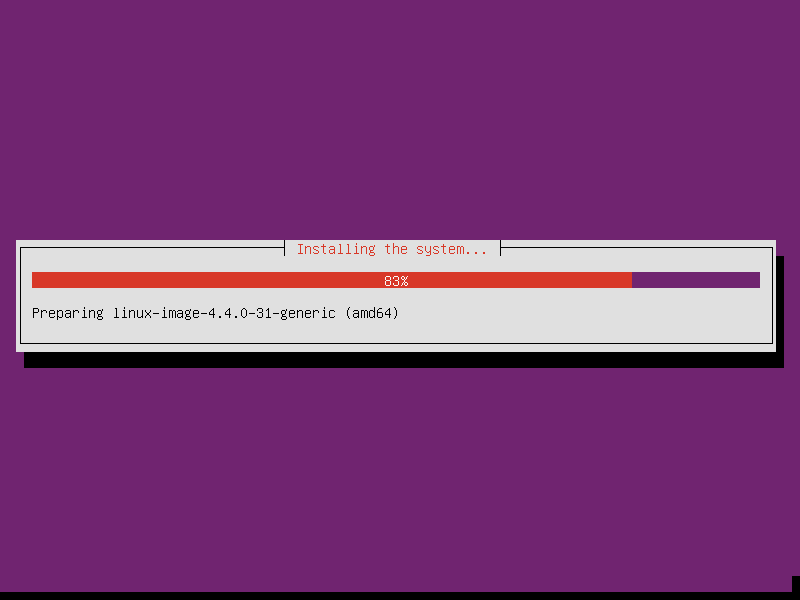 By default it will match the machine name, which is why my screenshot shows “Ubuntu”. You’re also asked to specify a file size for the virtual machine, and I’ve manually typed “100GB” into the size edit box. In the previous step we decided if the hard disk image file would be a “Dynamically allocated” or “Fixed size” image. Had we selected “Fixed size” and then specified 100GB here, an empty 100GB file would be generated to host the virtual machine. 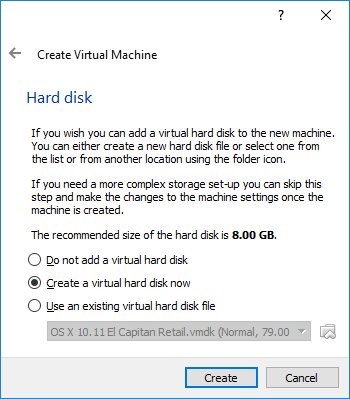 This is useful in cases where you’d like to ensure a particular amount of space to your virtual machine, but if your virtual machine only ever uses 40GB of the virtual disk for example, you’re wasting a whopping 60GB of your hosts disk space. 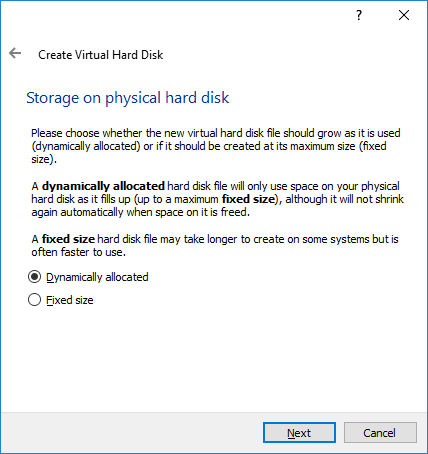 This is why we selected “Dynamically allocated” in the previous step, the 100GB size specified in this step will not consume 100GB of disk space immediately, but rather, it’ll allow the virtual hard disk to grow up-to a maximum of 100GB. 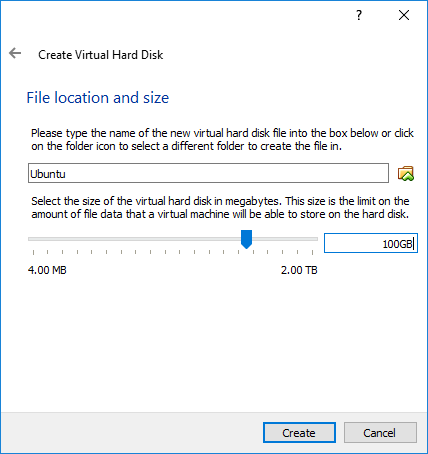 Our linux OS is likely to require somewhere around 30-40GB for a minimal install, so setting a size larger than this means that only the space our virtual machine needs will be used. Be cautious not to set this size too small however, as the OS will fail to install if there is insufficient space permitted to it. 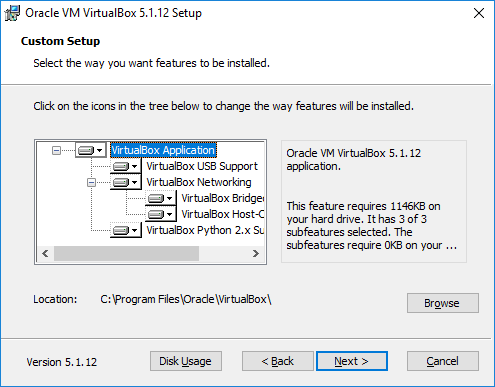 You should now have a virtual machine listed in the VirtualBox Manager. 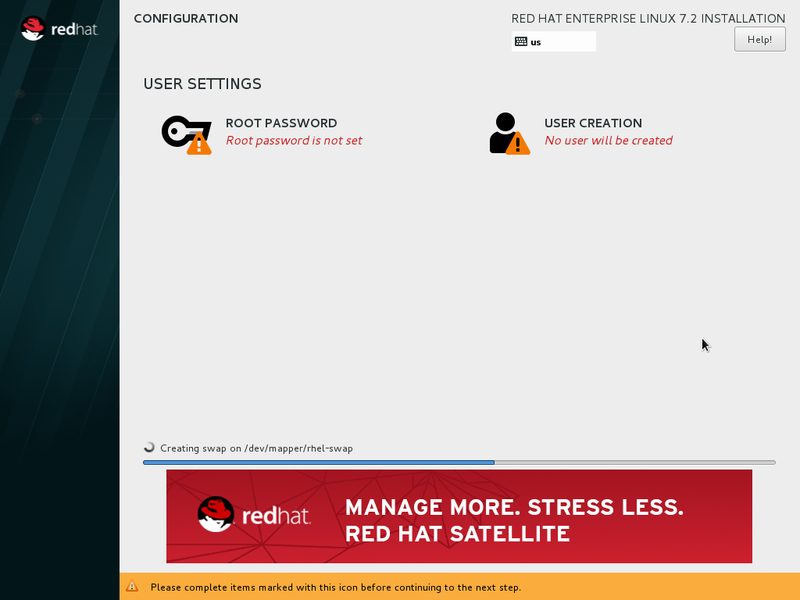 In the screenshot you can see that I’ve created two virtual machines, one for hosting Ubuntu and the other for hosting RedHat. Click on the “Network” tab on the left. 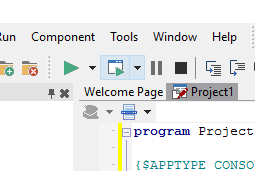 Click on the icon named “Empty” under the “Controller: IDE” section, it looks something like a CD. 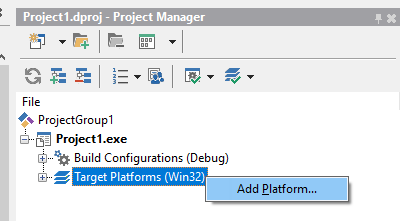 NOTE: Remember how to find this context menu. 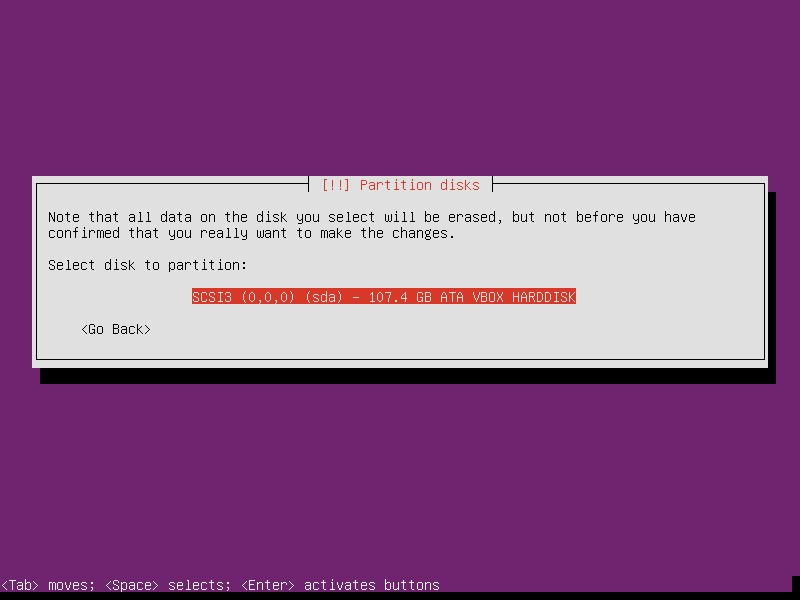 As you can see there is also an option to “Remove Disk from Virtual Drive”, which I’ll refer you back to at the end of either of the sections “Installing Ubunutu” or “Installing RedHat” depending on which you decide to follow. You’ll need to come back here and remove the installation media when the installation of Linux is complete. Finally, click “Okay” to come back out of the settings for your virtual machine. 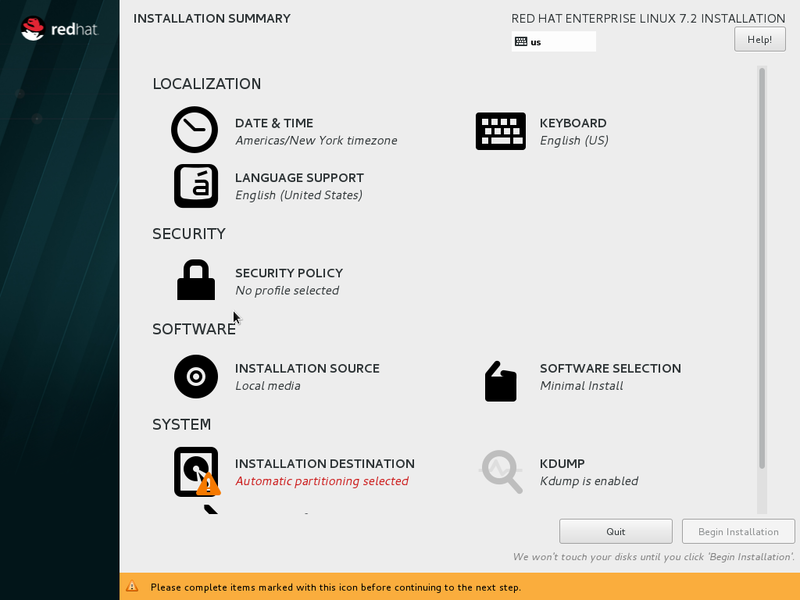 Now, If you’re installing RedHat, proceed with the next section of this post for installation instructions. 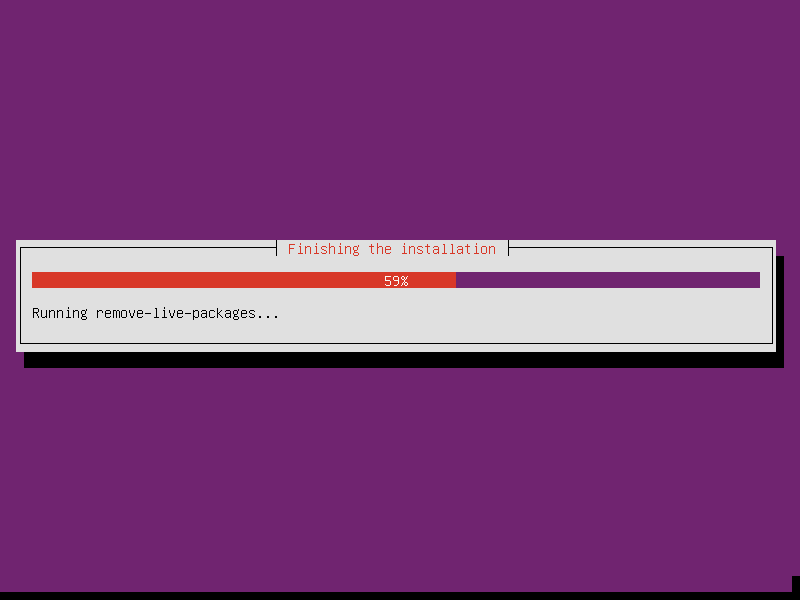 If you’re installing Ubuntu, go ahead and skip to the “Installing Ubuntu” section. As a side note – you may also have lost your mouse pointer to the virtual machine at this point. The virtual machine has acquired the mouse device for it’s self and will not give it back until you hold down the right-hand [CTRL] key on your keyboard. 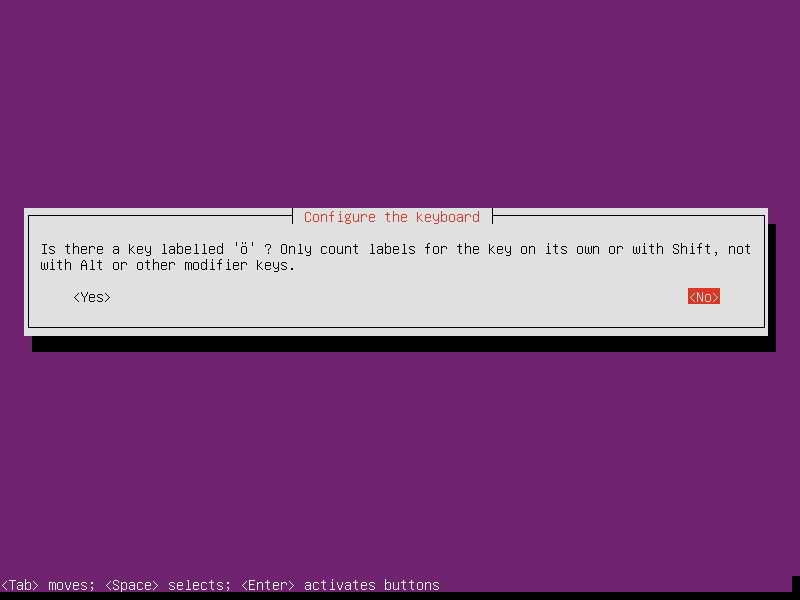 This key is known to VirtualBox as the “host” key. Extensions for the guest operating system can be installed which prevent it from grabbing the mouse, and instead share the mouse pointer between your host machine and the guest operating system, but they can’t be installed until AFTER the guest operating system is installed. So for now, remember the right-hand [CTRL] key. 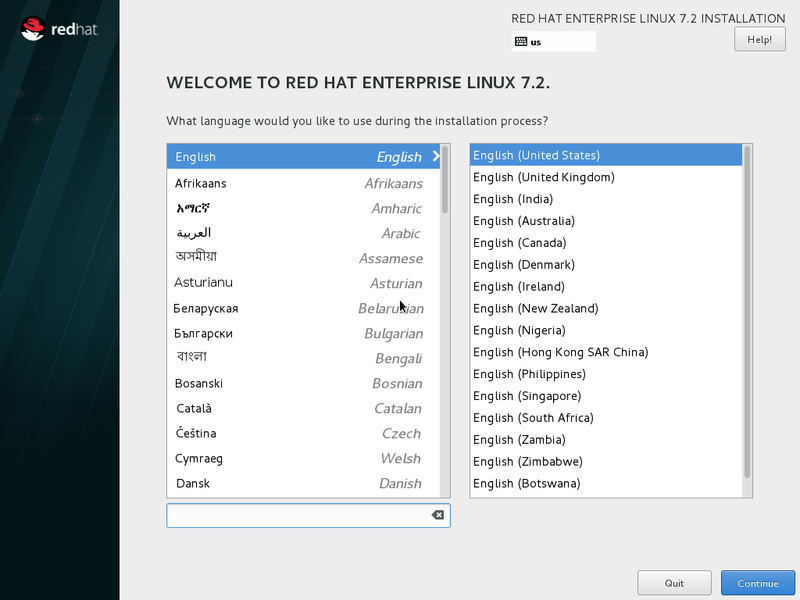 Select the language you’d like to use by default within Red Hat. Obviously you must make the most appropriate selection for yourself, I’ll be proceeding in English (US). Having made your selection, click “Continue”.. 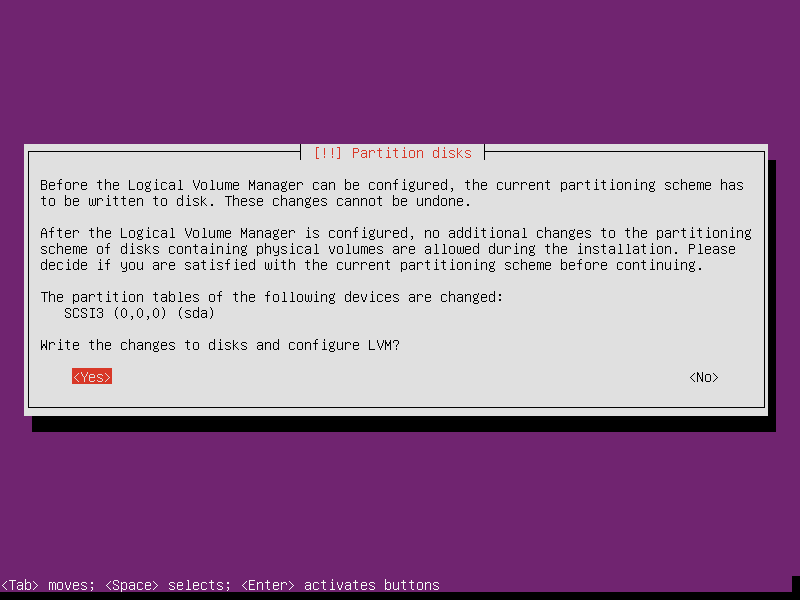 The default partitioning configuration is now applied for us, the warning is gone, and the “Begin Installation” button has appeared. Before we proceed, lets configure some network settings too. 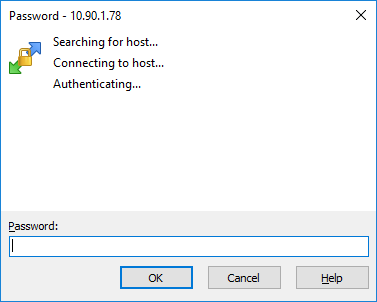 Click on the “Network & Host Name” icon.. If an IP address has not appeared, then perhaps you do not have DHCP enabled on your network? 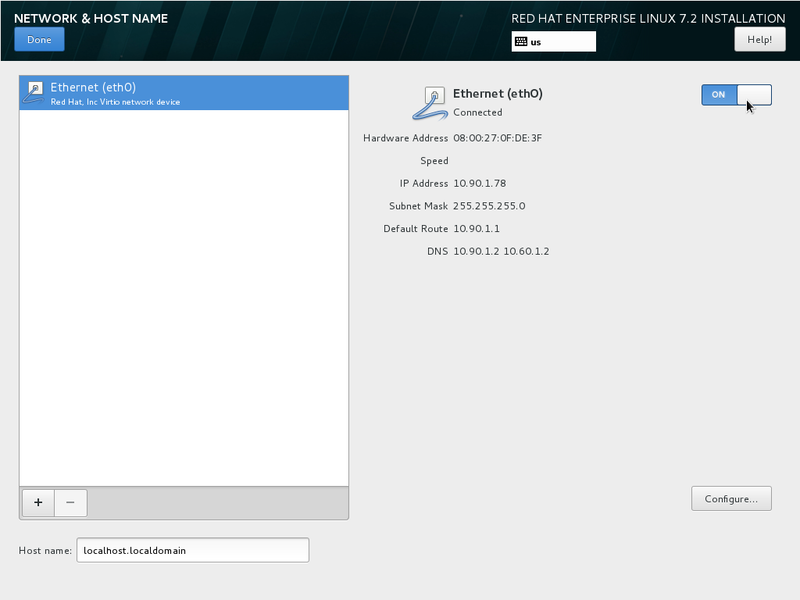 You’ll need to check the documentation for RedHat on how to configure a network connection later, but for now, proceed with the installation. Assuming the IP address did appear, make a note of the address somewhere, you’ll need it later. Click “Done” in the top right corner to return to the main configuration dialog. At this point the installation has begun, and a progress bar proceeds along the bottom of the screen. 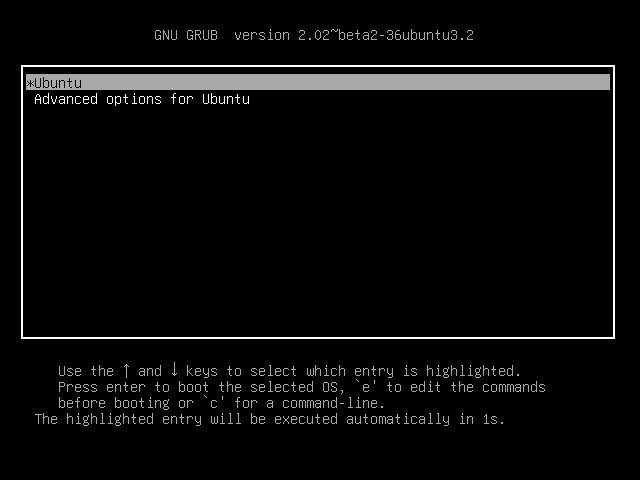 At the top of the screen however, there are two options for configuring a “Root Password” and for “User Creation”. We’re going to perform each of these actions in turn while we wait for the installation to complete. Start by clicking on the “Root Password” icon. 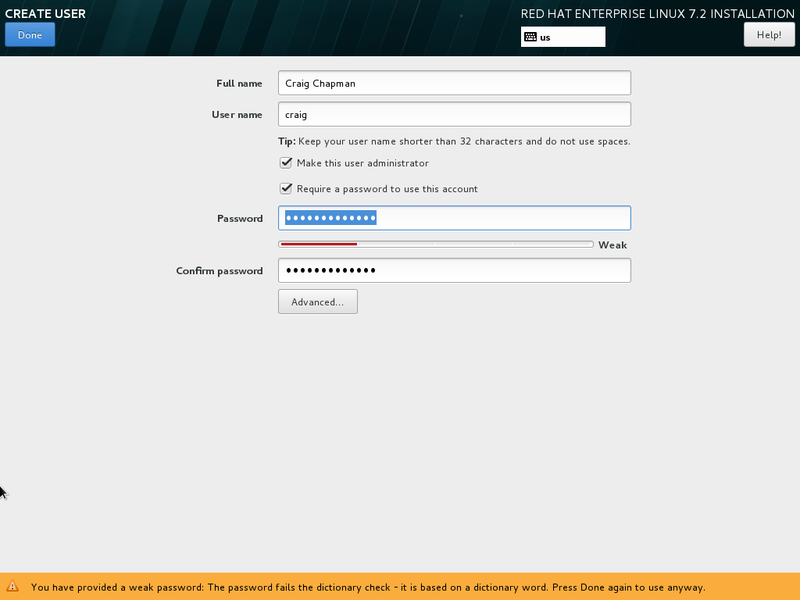 You’ll need to enter a sufficiently complex password into the “Root Password” box, and repeat it in the “Confirm” box. When you’re done click the “Next” button at the top left of the screen. Note: You can override the password complexity by entering a simple password and clicking the “Done” button twice instead of just once. Now click on the “User Creation” button. On this page provide your name, a username and set the password fields. Most importantly, check the “make this user administrator” checkbox. Click on “Done” top left to proceed with the installation. Having set the root password, and created an administrative user account, we leave the installer running until the installation completes and the “Finish configuration” is enabled. Go ahead and click on “Finish configuration”. When the “Reboot” button appears, go ahead and click on it. 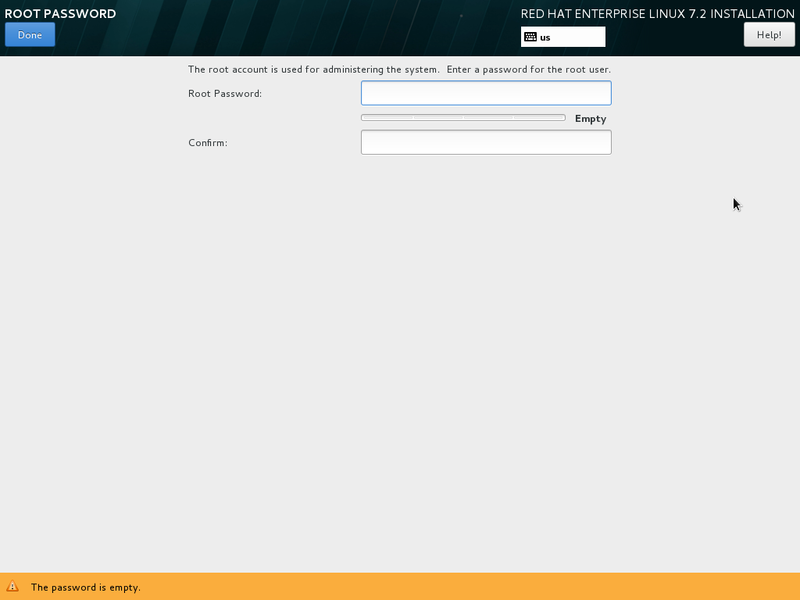 Note1: Depending on the RedHat version that you’re installing, you may be taken to a graphical login instead. Note2: At this point it would be a good idea to go remove the installation media from the virtual machine settings page (remember, the item I told you to remember how to get to in the section on setting up virtual box?). 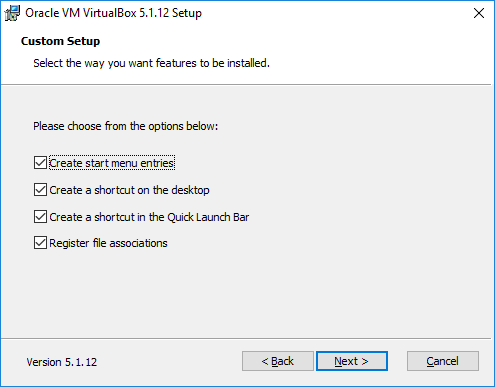 If your virtual machine does not start up to a login prompt at all, it’s likely because the installation media is still in, turn off the machine (click to close the window) and remove the installation media before clicking on ‘start’ again. You’ll either be brought to a prompt resembling the one above, or you’ll be logged into a graphical desktop. 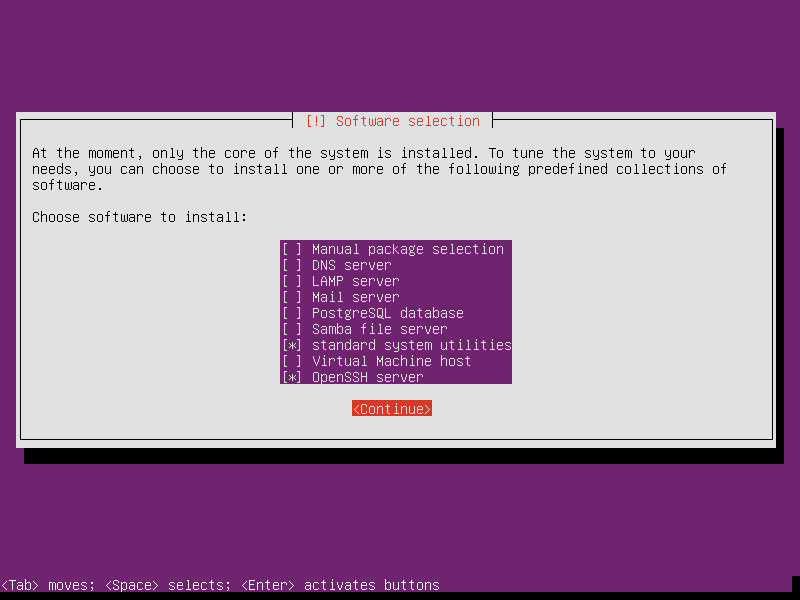 If you are brought into the graphical desktop, open a terminal session from the menu in order to continue with the remaining instructions. 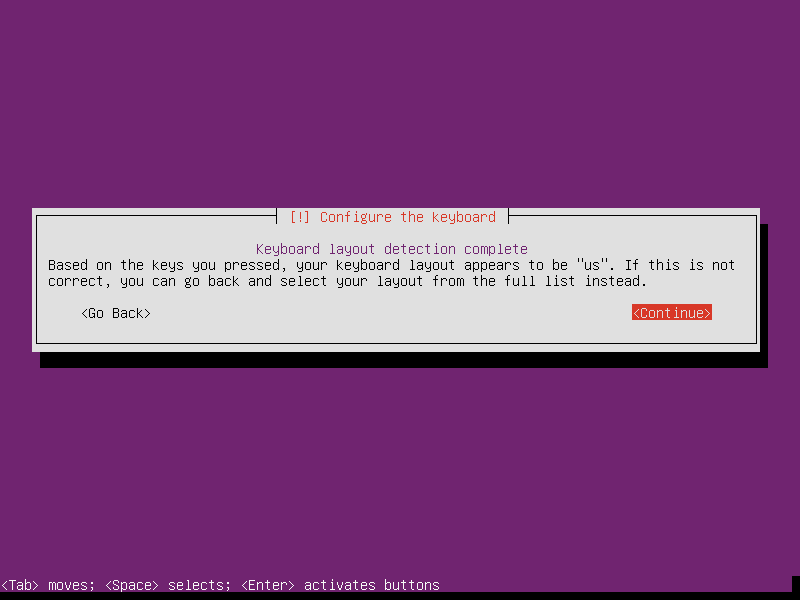 TIP: [CTRL]+[ALT]+[T] is a common shortcut for opening a terminal session in many Linux graphical desktops. Lets check that the subscription is valid and working by updating the system software. 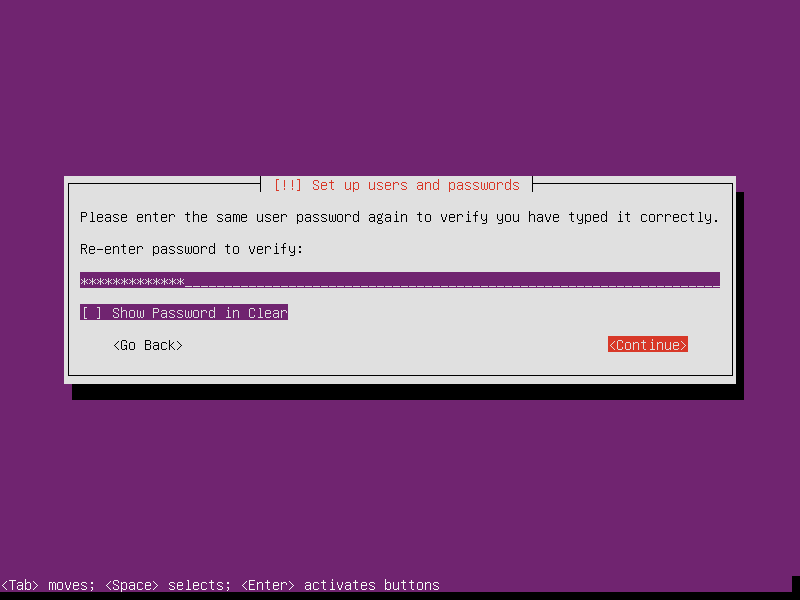 *Note: Whenever you enter instructions that begin with “sudo” you may be prompted for your password again, if so, enter the password for the user account you created during installation. You’ll then be asked to confirm that it is okay to download and install these packages…. You should be presented with a screen which looks something like the screenshot below. You need the IP address for “eth0” which I’ve highlighted in the screenshot..
On a DHCP network your IP address can change, typically if you reconnect to the network or reboot the system, though it usually remains the same. Make a note of the instruction in-case you need to find the IP address again. You can also discover this information from the PAServer application as we’ll see later. 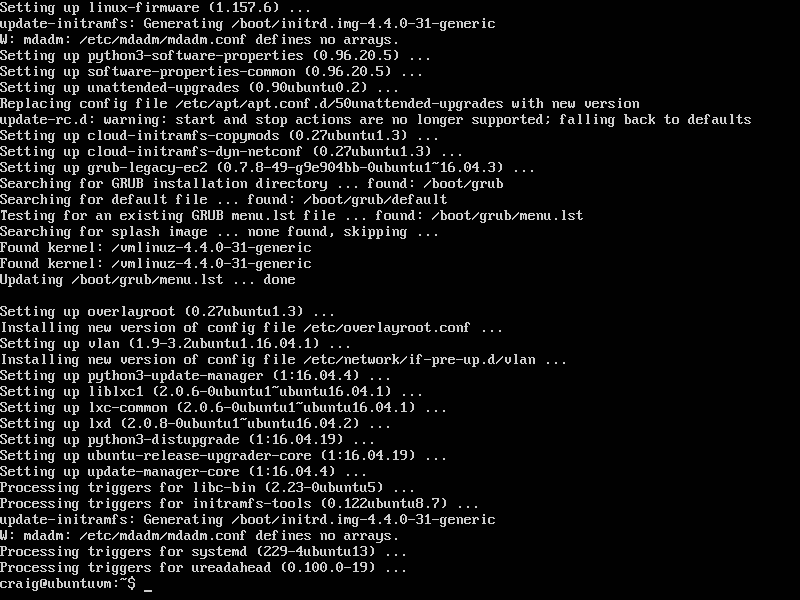 For now, write down the IP address (in my case 10.90.1.78) as you’ll need it again soon. 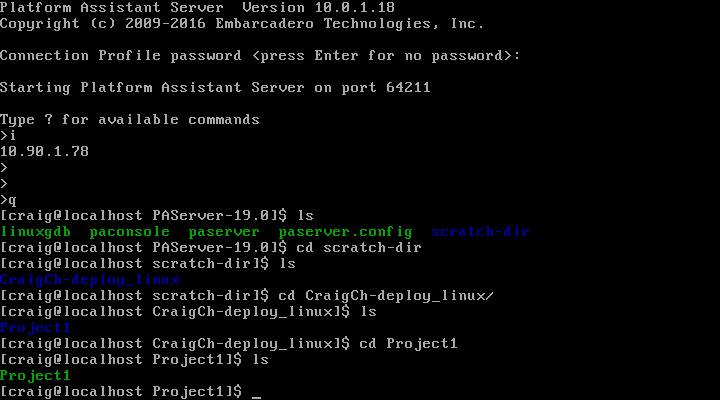 Now you’re ready to deploy the “PAServer” application to your RedHat server. Go ahead and skip to the section entitled “Deploying the PAServer”. 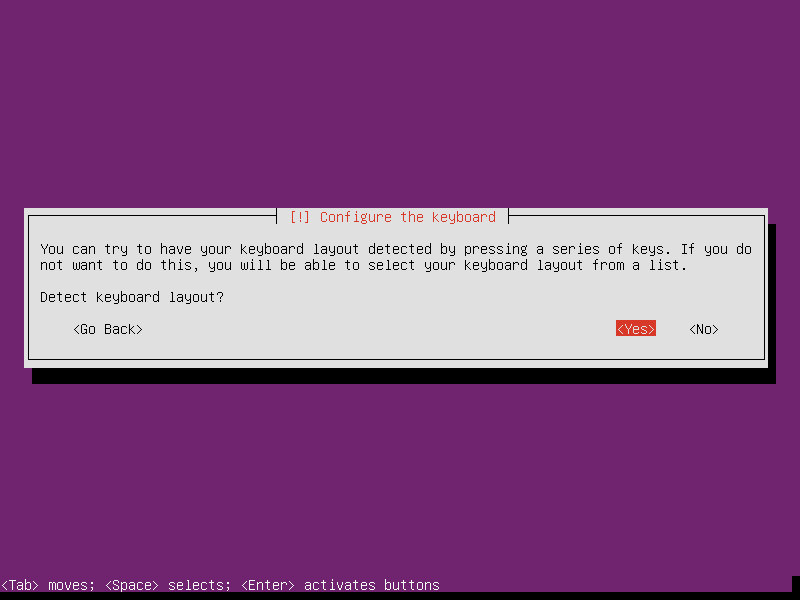 Note1: The Ubuntu server edition installer is a text based UI which you can navigate using the cursor keys, [TAB] to cycle options, and [RETURN]/[ENTER] to accept an option. Note2: When you click inside the virtual machine window, virtualbox will grab your mouse and not release it back to you unless you press the right-hand side [CTRL] key on your keyboard. 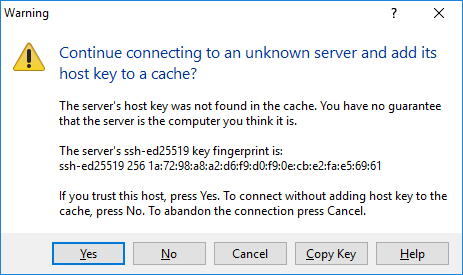 This key is known to virtual box as the ‘host’ key. 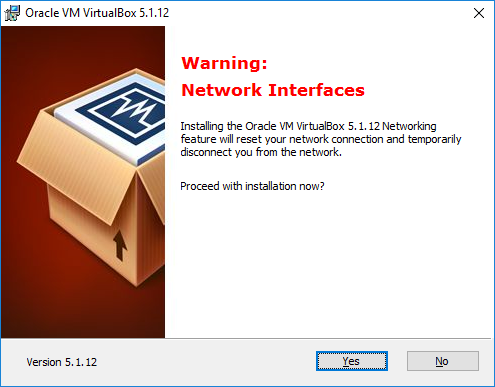 There are extensions which can prevent virtual box from claiming exclusive access to the mouse, but they must be installed into the guest OS which we haven’t installed yet. The first dialog you’ll be brought to, looks like this.. 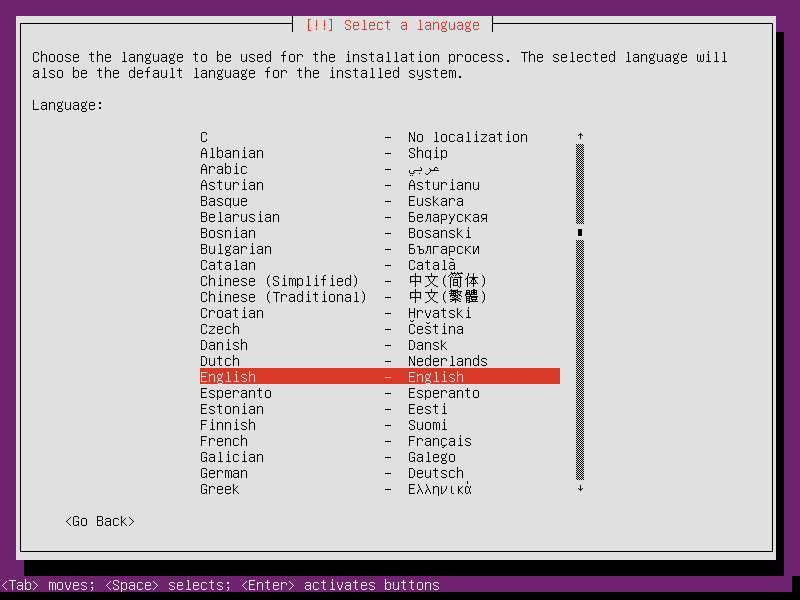 This language dialog allows you to select the default language used by the Linux OS when it’s installed. Again, select an appropriate option and continue. Select your location and continue. At this point the installer should have detected the appropriate keyboard option for you, in my case “US”, assuming it’s correct, select “Continue” and proceed.. 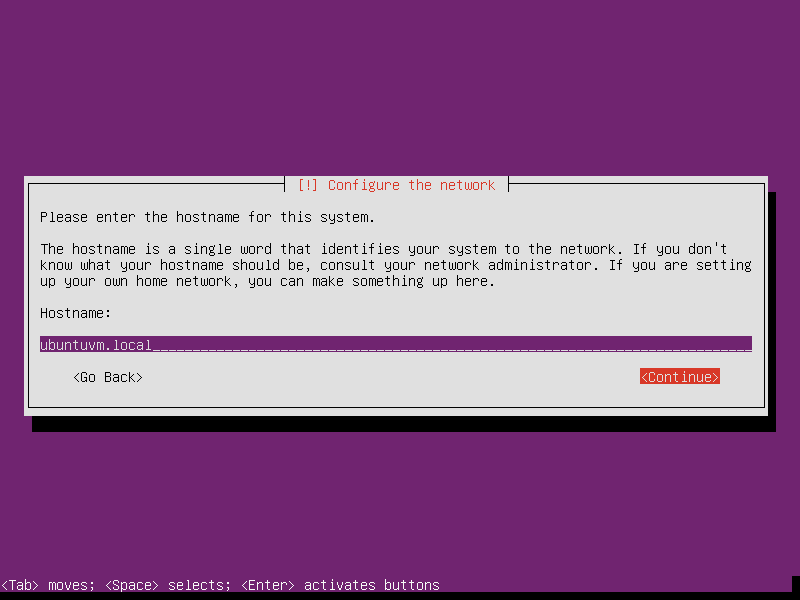 The Ubuntu installer now wants to name your machine on the network. Enter something appropriate and continue. 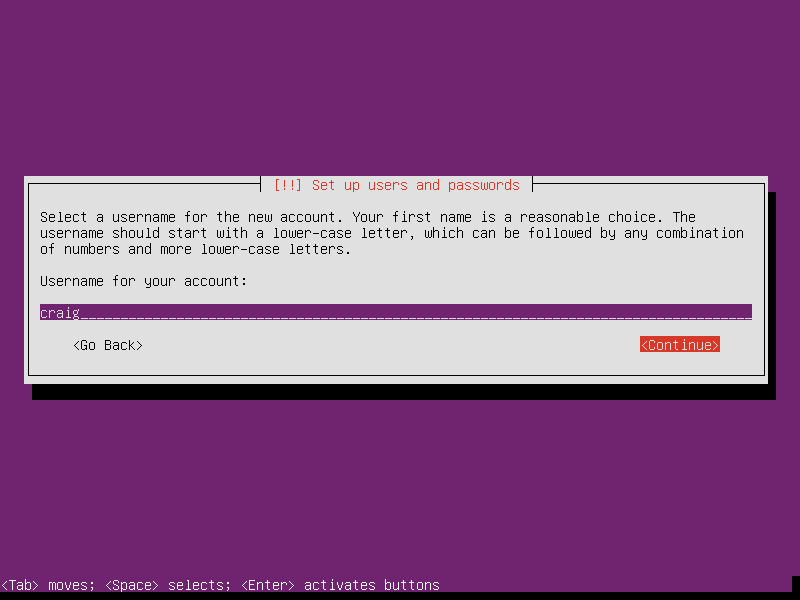 The Ubuntu installer is now going to create a user account for you to sign into. Go ahead and enter your name, or that of the person that will be using this virtual machine, and continue. Enter a username for your user account and continue.. Either option is fine, but as I’m not particularly concerned with the security of the file system (It’s a development machine, not a production server), I’m selecting to not encrypt the home directory. Select your time zone, and continue..
Progress bar, wait some more. 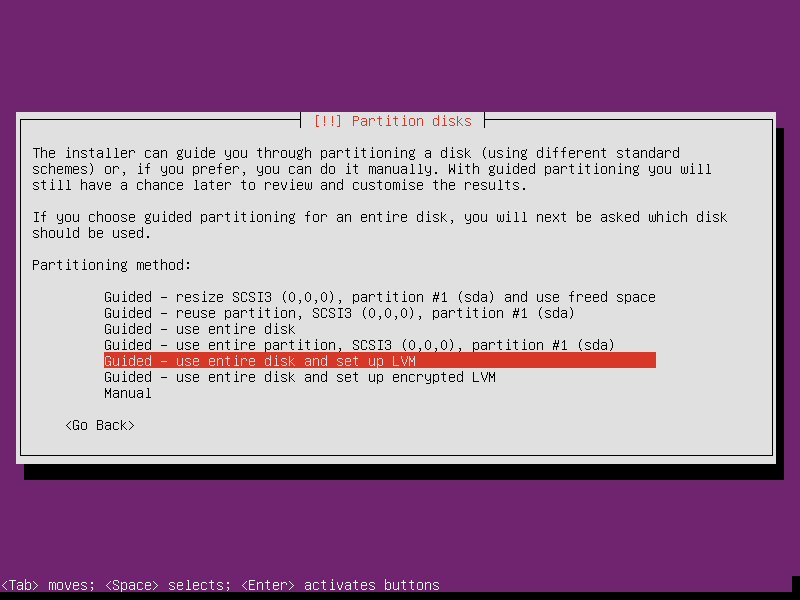 The Ubuntu installer is asking how you’d like to partition the file system, as this file system is a dedicated image file, select “Guided – use entire disk and set up LVM” and continue. 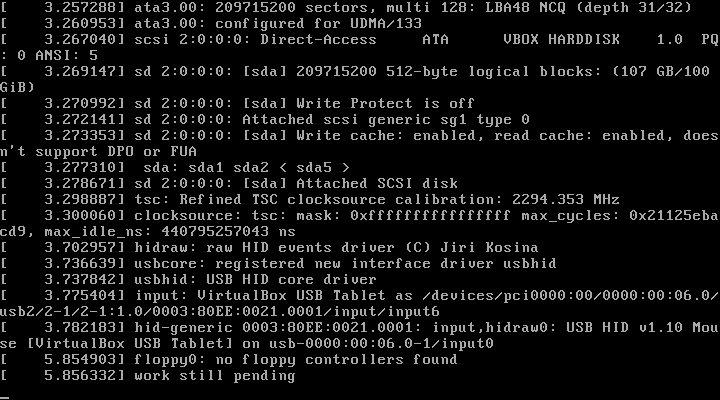 Select “SCSI3 (0,0,0) (sda) – 107.4 GB ATA VBOX HARDDISK” and continue..
Another progress bar, wait some more! 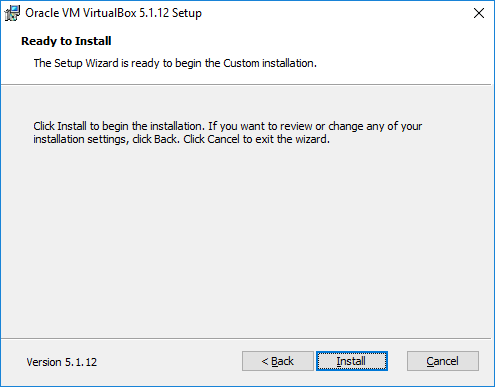 Select “Yes” and continue… (This is installing the boot loader into your virtual file system). Another progress bar… You know what to do here. 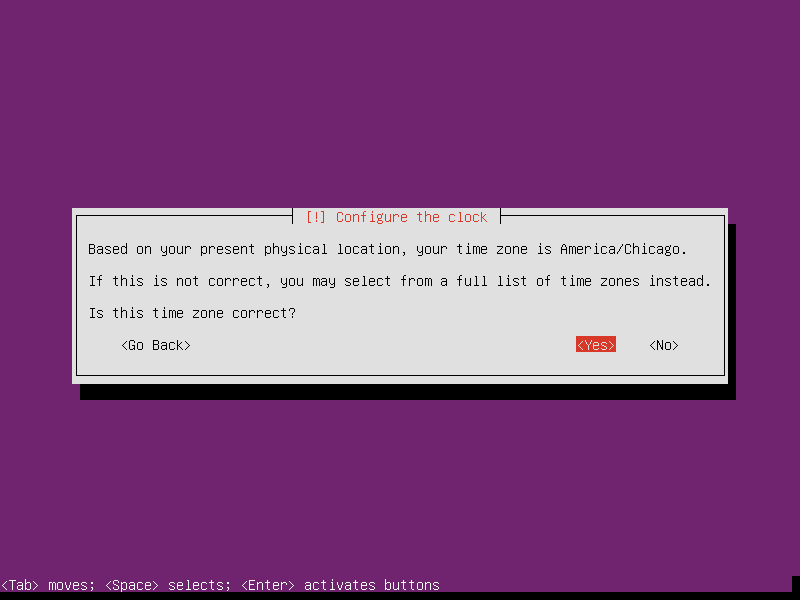 Either press [ENTER]/[RETURN] to boot into Ubuntu, or wait for the timer to count down, it’ll do it automatically for you. Eventually, you’ll find yourself here at the login prompt. 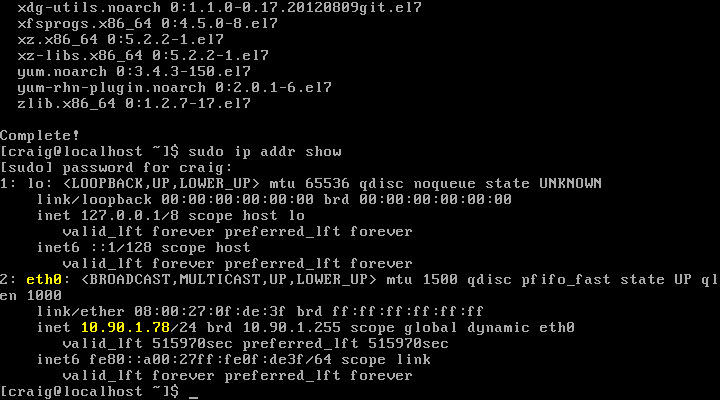 Okay, before we go any further, we need to know if your system correctly joined the network and has an IP address. My network interface is named ‘enp0s3’ yours may be different (ignore the interface named lo, that’s the loopback), and on my system I have an IP address of 10.90.1.98. You’ll need to make a note of your IP address. 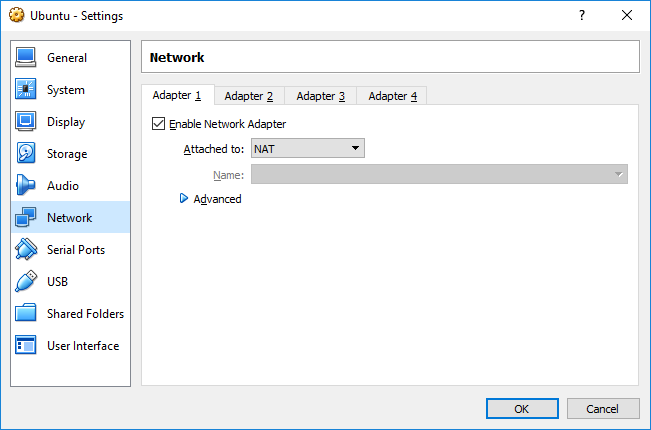 If your system does not have an IP address or is missing a network interface, it’s possible your network does not have DHCP enabled, or something else went wrong. 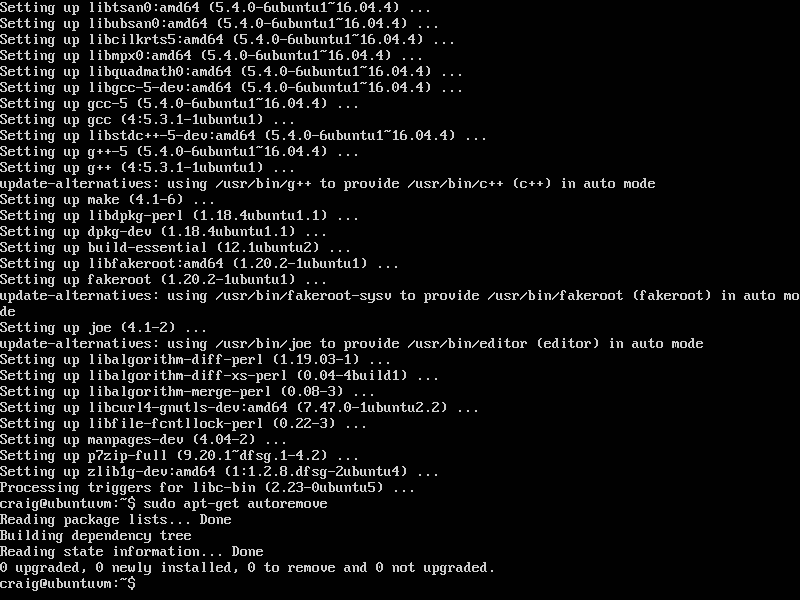 Refer to the Ubuntu documentation to configure a network interface. 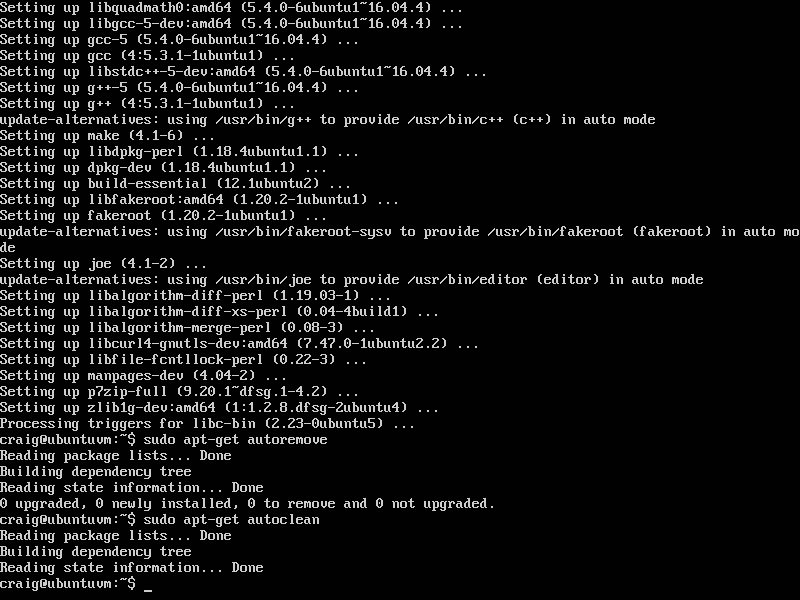 Now it’s time to perform some updates and software installation to prepare the Ubuntu system for use. Note: Whenever you enter an instruction that begins with ‘sudo’ you may be asked to re-enter your user password. You may be prompted “Do you want to continue? [Y/n]” one or more times, simply press “Y” for each prompt. Again, press “Y” for any prompts..
At this point we’ve installed all of the packages we need, lets perform a couple of maintenance instructions to clean up the installation system. Note: if you’re using a newer version of RAD, simply adjust the version number in the path according to what you have installed. 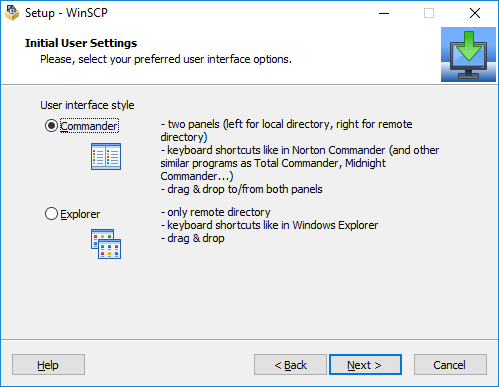 Select the “Commander” interface, this is a preference you may alter if you wish, but my instructions will be for the commander interface. WinSCP will now open and present you with a login screen which looks something like this.. If presented with this warning, click “Yes”. 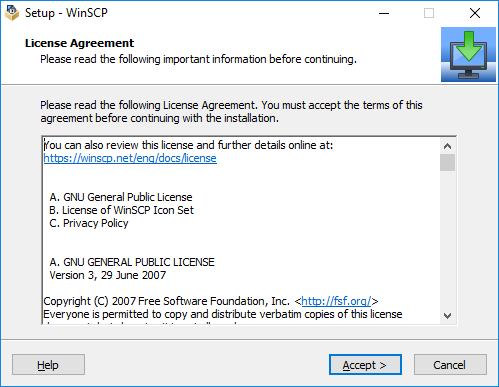 This is importing the security certificate which is used to encrypt the connection between WinSCP and the server. 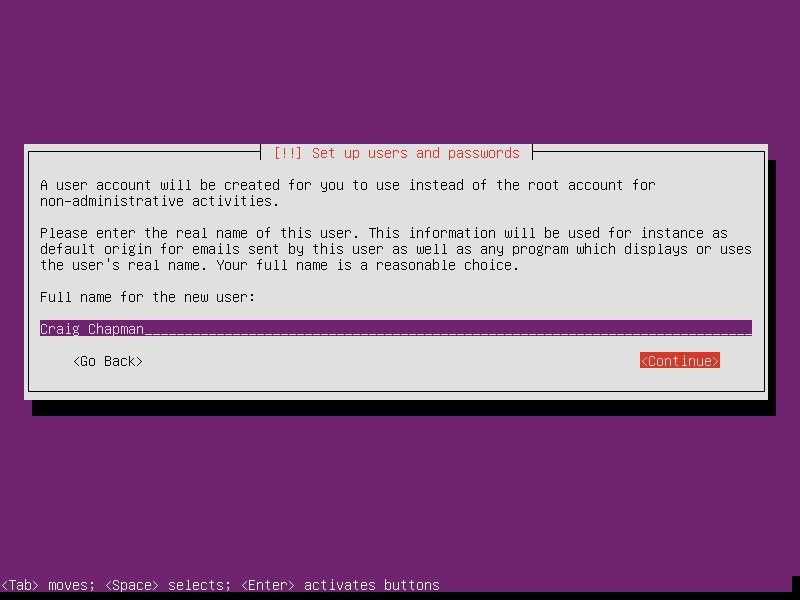 Enter a username to connect to your linux server with (the one you setup during installation if you followed my guide). 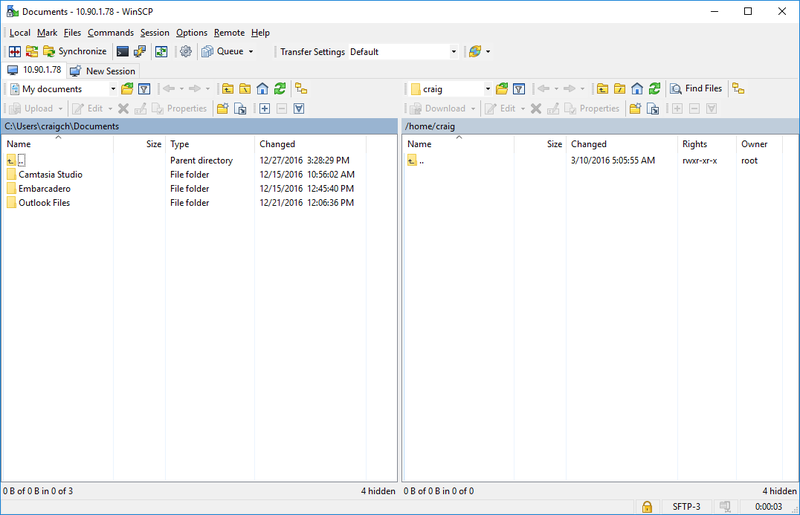 On the left of the WinSCP window you will see a directory browser looking at some location on your computers local disk, and on the right you’ll see a directory browser looking at the home directory for your user on your Linux server. You can navigate these browsers and drag and drop files from either side to the other to have them uploaded or downloaded as necessary. Lets use this to upload the PAServer application. 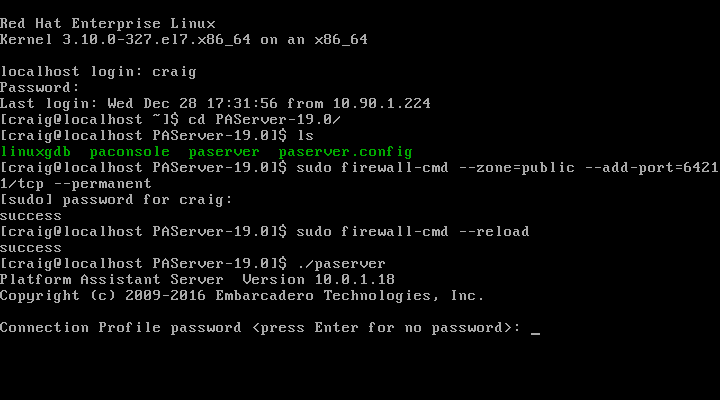 And as you can see, the PAServer install file has been copied up to your server. The .tar file listed is an archive file, (think .zip file but without compression if that helps), we need to unpack it. 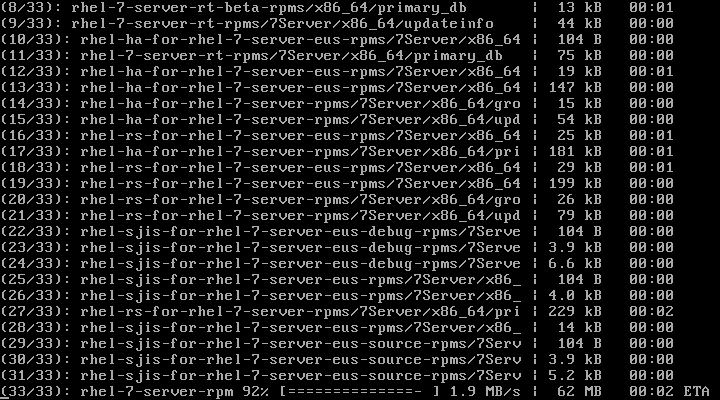 At this point, if you’re running a RedHat server there are a couple of additional instructions you’ll need to run before we can start the PAServer running. You need to open a hole in the network firewall through which the PAServer can communicate with the RAD IDE. 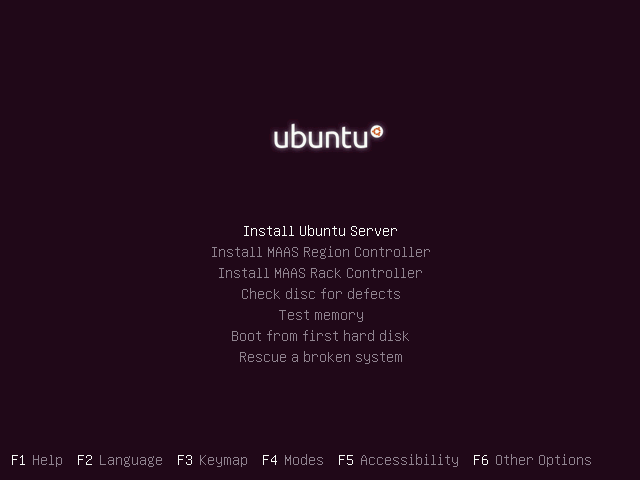 Ubuntu users that skipped the previous instructions, rejoin us here. Now it’s time to run the PAServer, enter the following instruction. You’ll be asked to provide a profile password, this password is optional, and so for these instructions I’m going to suggest you simply press [ENTER] / [RETURN] to leave it blank. 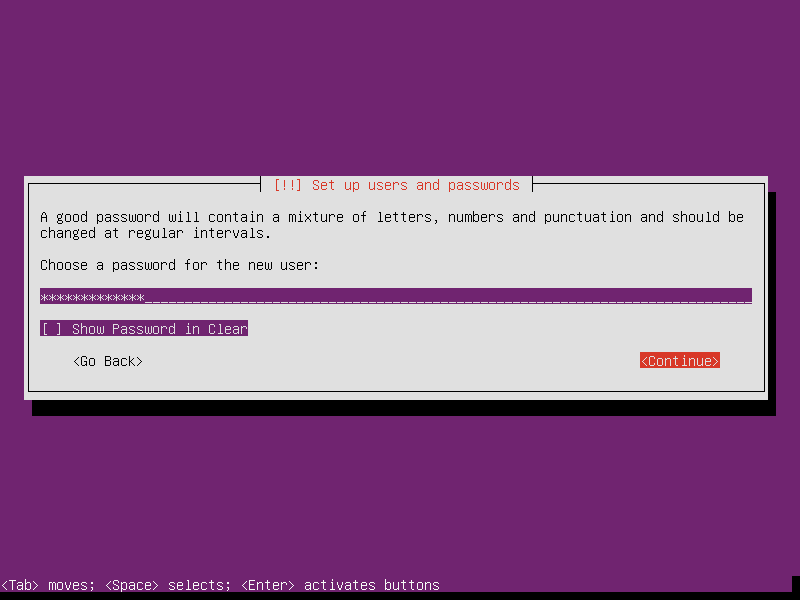 If you do enter a password here, you’ll need it later when configuring the RAD IDE to communicate with the PAServer. 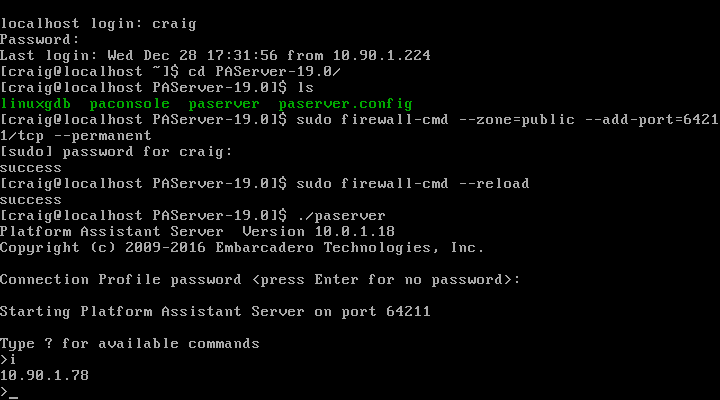 The PAServer is now running and is ready for the IDE to communicate with it. 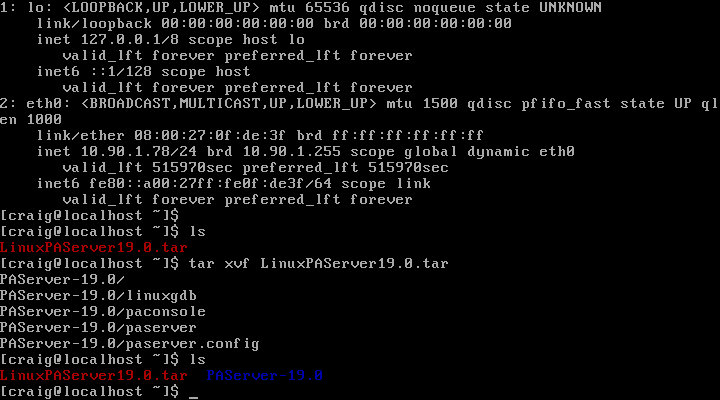 In order to communicate with the PAServer, your IDE will need the IP Address of the Linux server, which by now you already have, but for good measure type the “i” instruction into the PAServer command prompt.. Tip: Remembering that you can use the “i” instruction within PAServer can be useful if you later reconnect the server to your network or reboot, and find that the IP address has been updated by your DHCP setup. 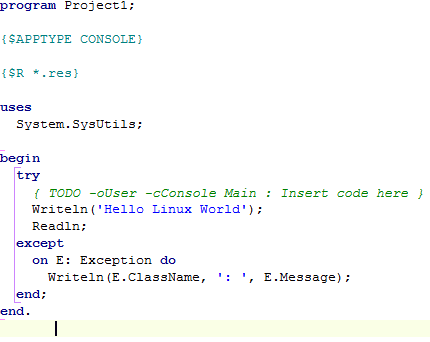 Lets put together a simple “Hello World” application so we can deploy it to our Linux server and see it working. Beneath the green commented “TODO” line of the template application, add the following two lines of code. Press the “Run with debugging” button (or press F9 on your keyboard). 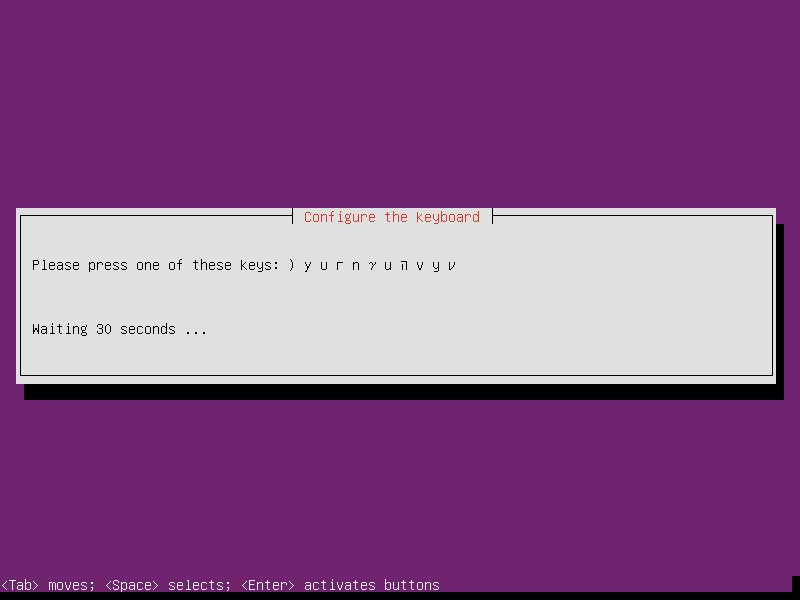 Enter the IP address of your linux server, and click the “Test Connection” button. 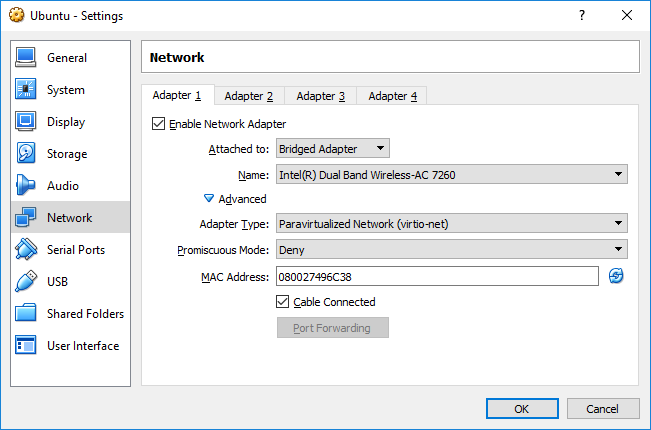 If you see this dialog indicating that the connection succeeded, congratulations! If you do not, you’re going to have to retrace your steps to figure out what you did wrong, your IDE is unable to talk to the PAServer on your Linux server. 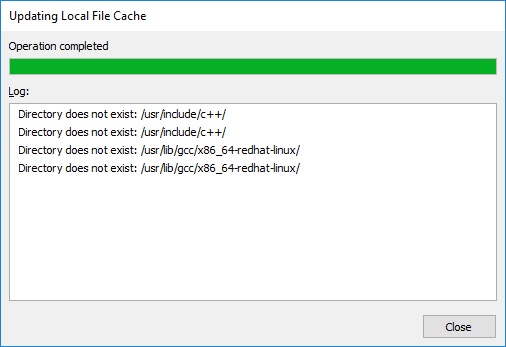 Click “Ok” and then click “Finish”, you should see a dialog like this one..
Congratulations, you just deployed a Delphi application to a Linux server! At this point you’ve seen an application deployed to your linux server, but the console output was redirected through the PAServer back to your IDE. 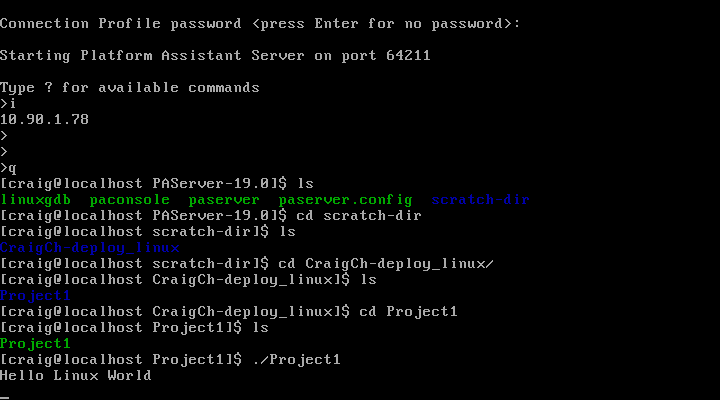 What if you’d like to see the application running on the linux server it’s self? 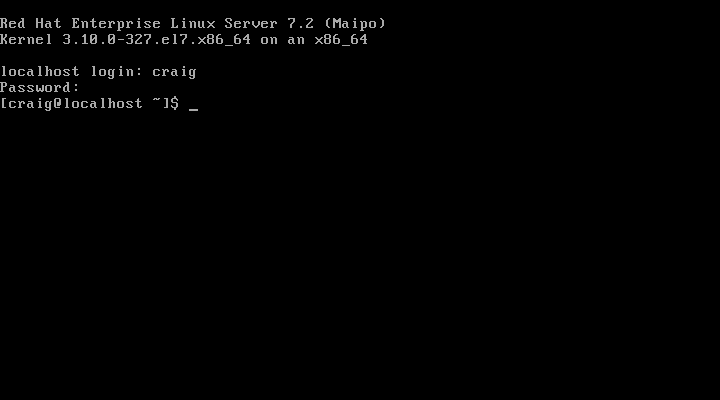 And there it is, your Hello World Application running right there on your Linux server! 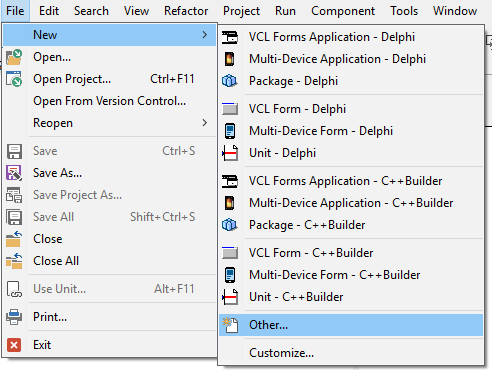 Go forth and make Linux applications with Delphi. We have been using Delphi versions 7 and 10. 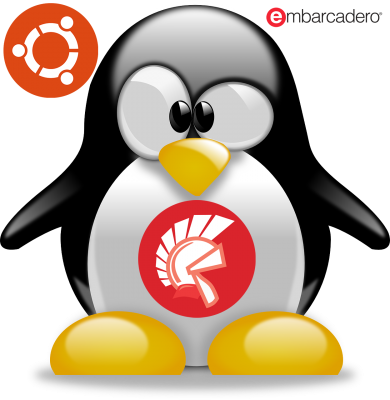 We have recently switched to 64-bit with Embarcadero Delphi 10.2, which is also available for a Linux implementation. Our goal is to integrate our legacy Delphi code and call a DLL in C in the Linux operating system. Specifically, we want to integrate the PETSc library, which is a scientific linear algebra package. 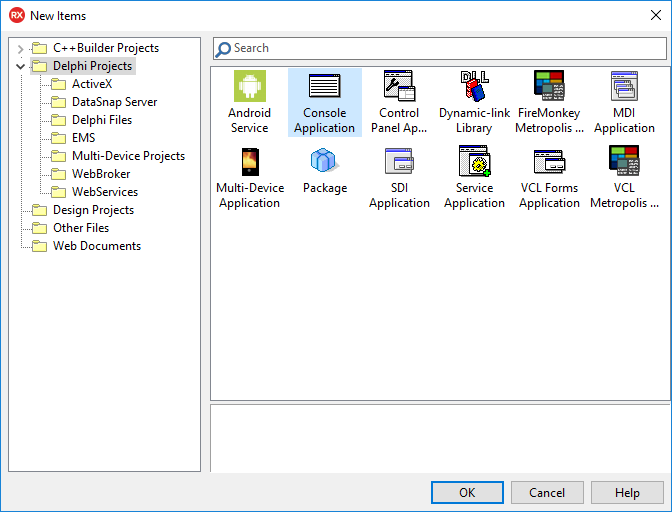 We have done DLL integrations in Windows, but never done it from Linux to Linux, especially with Delphi. 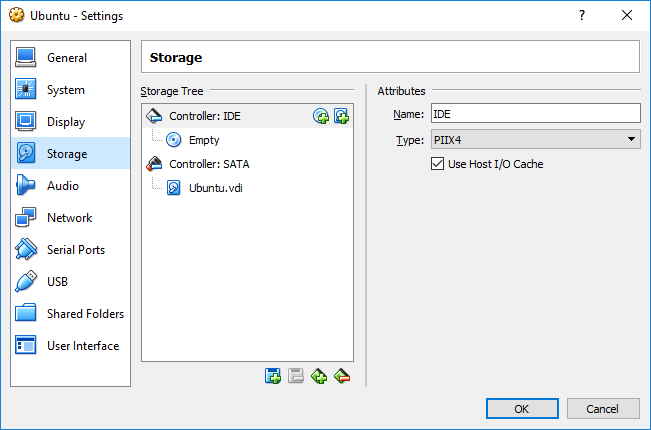 We wonder whether you had any advice on calling a DLL in 64-bit Delphi from Linux into a Linux DLL and whether you would be able to assist us to perform the integration between Delphi and PETSc. Have you seen my CodeRage 12 session on using Libraries in Linux? Essentially, you are forced to dynamically load the function pointers because you don’t have the linker files, but otherwise it’s very similar to using a DLL on windows. Excellent tutorial Craig! is there a tutorial for Datasnap server in console mode for linux?, thanks in advance. I did cover WebBroker for Linux in a CodeRage / Webinar session, which should be more or less the same for Datasnap (datasnap is WebBroker plus). I’ll see if I can find a link. I tried to compile a simple datasnapo example from embarcadero and I got the following error message “[DCC Error] E2597 C:\Program Files (x86)\Embarcadero\Studio\19.0\bin\ld-linux.exe: error: cannot find -lgcc_s”. I have a virtual machine running on azure Ubuntu 16.04.3 LTS, paserver running and tested, Win 7 Pro 64 running on virtual box and delphi tokio 10.2.2. 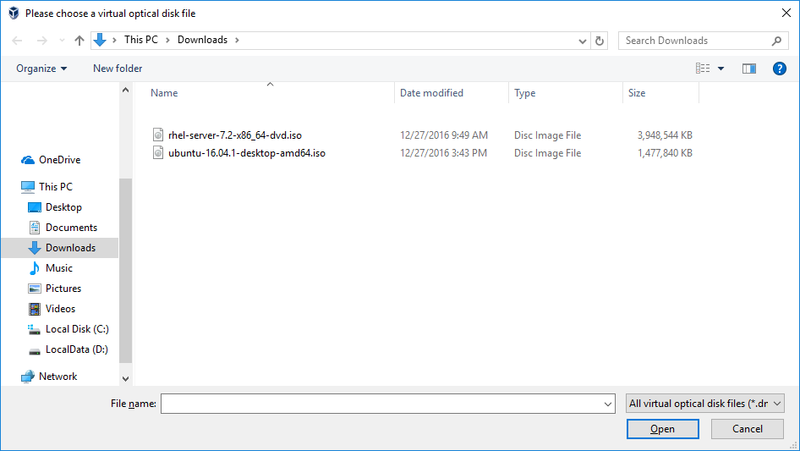 Do I need to install a lgcc_s library on windows? thanks in advance. 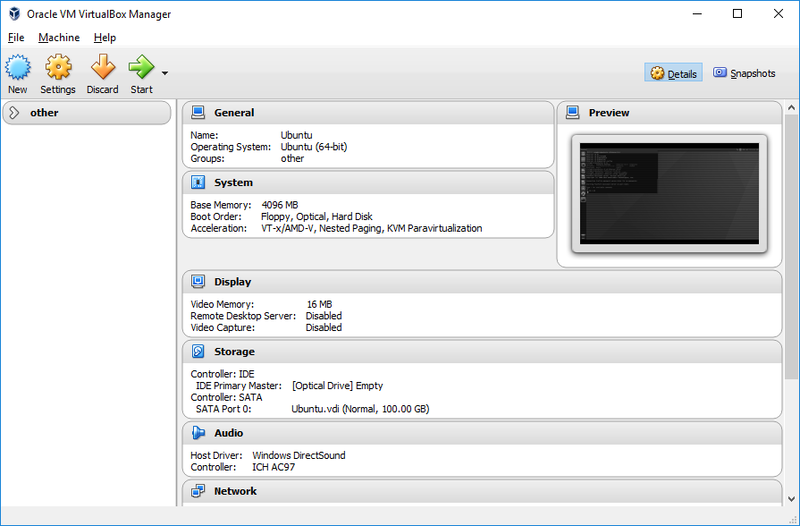 I have released my newest Linux (GUI) application called i3DConverter. It is a powerful 3D polygon model converter, and also an interactive 3D model viewer tool. The program supports 760 file formats. 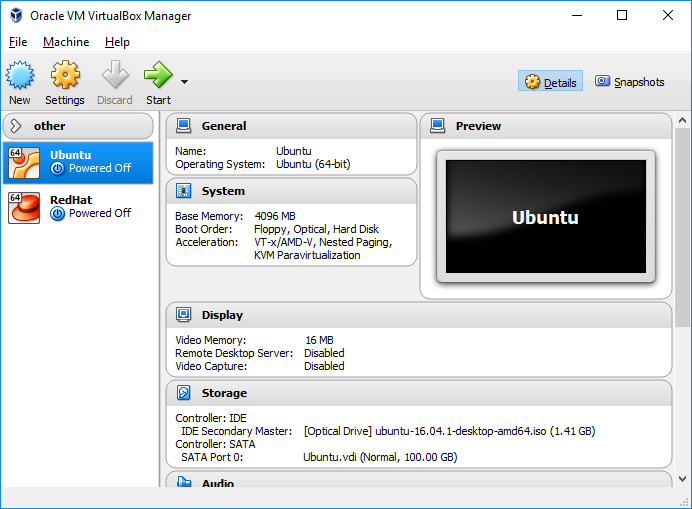 I have used your very detailed post to setup VirtualBox and install Ubuntu under VirtualBox on my Win7 64bit system. 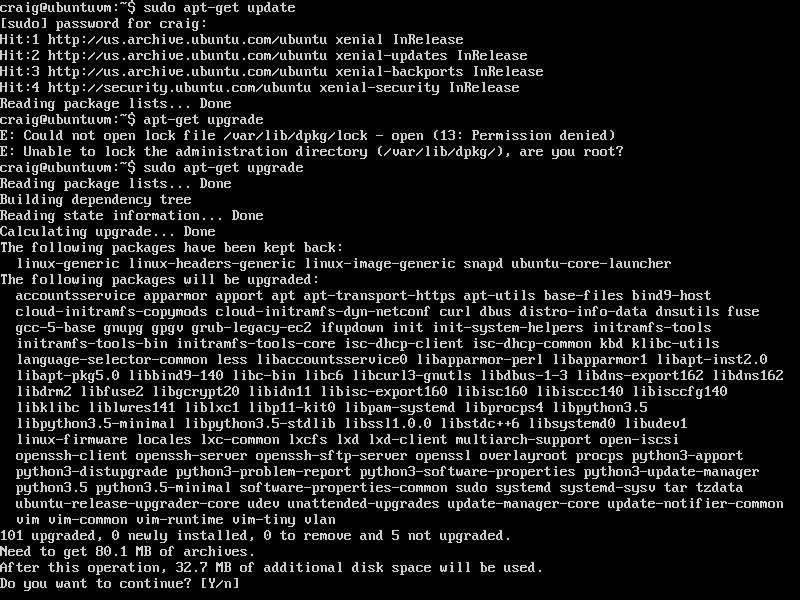 I have installed the Ubuntu without any problems, but I could not deploy PAServer to Ubuntu. 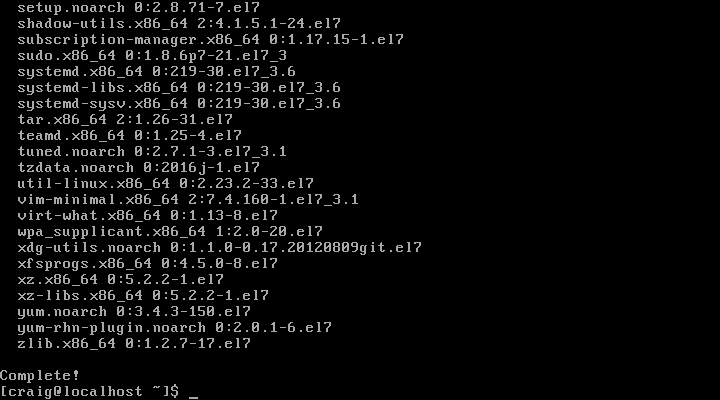 I ran the ifconfig command to get the Ubuntu’s IP address (192.168.1.74) and I did try to use the WinCP with the correct IP address. After the ’Searching for host…’ window I got the following error message: ’Network error: Connection to „192.168.1.74” refused. 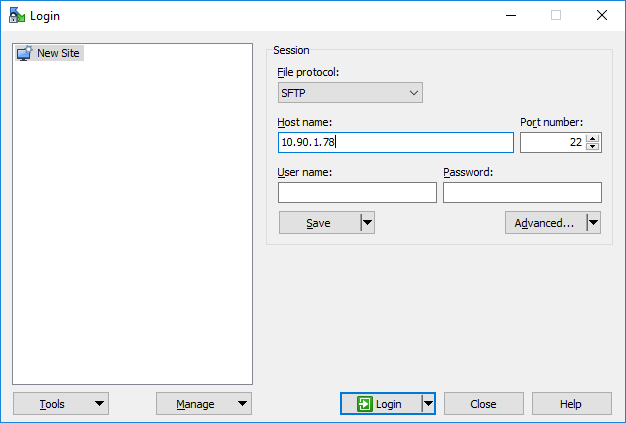 The server rejected SFTP connection, but it listens to for FTP connections. I did try to use the Total Commander’s SFTP plugin without success. 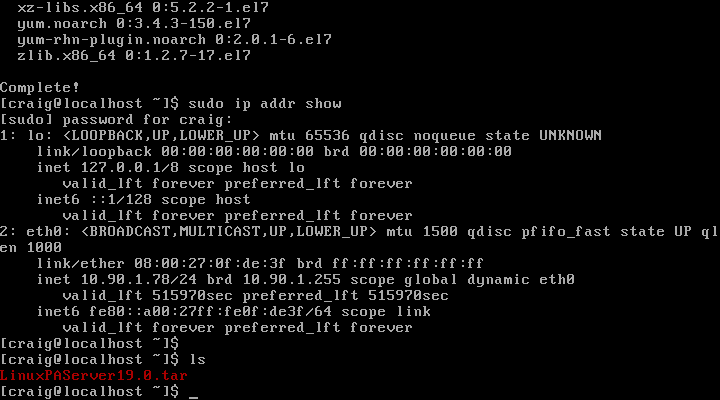 I can ping the Ubuntu’s IP address from the Win7 side, but I can’t imagine what is the problem on the Ubuntu’s side. I uploaded the LinuxPAServer19.0.tar.gz file to my web page and I downloaded it using the Ubuntu’s FireFox browser. 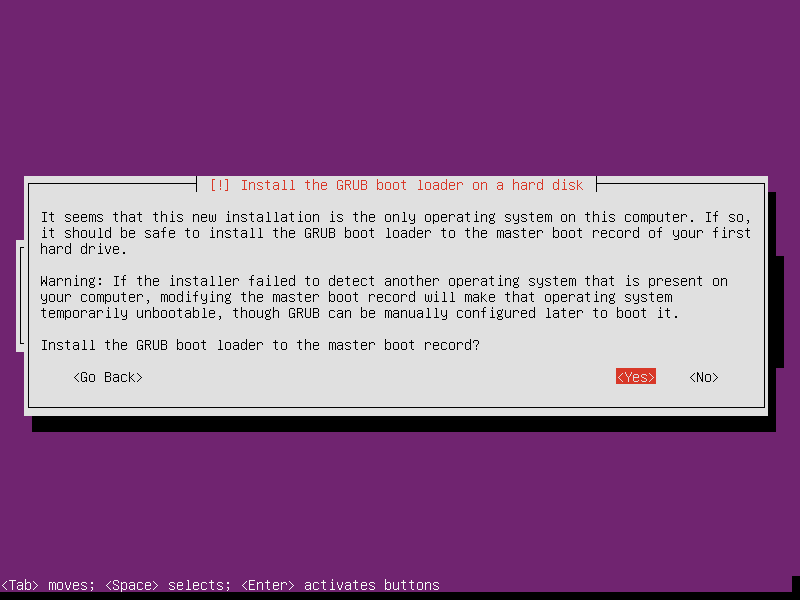 I installed the Double Commander under Ubuntu and I extracted the LinuxPAServer19.0.tar.gz file and I run the paserver app in the terminal window. 1) Do you have SSH installed? 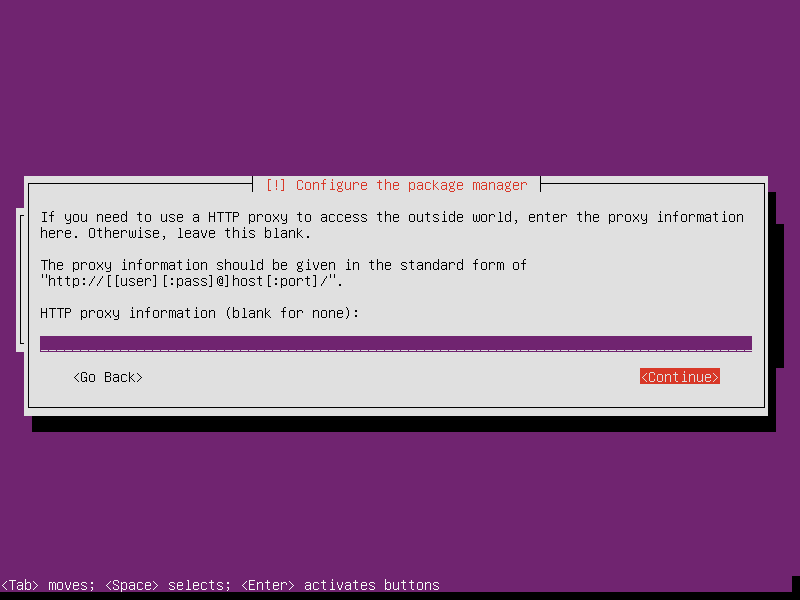 – try typing “sudo apt-get install openssh-server” at the command line, it’ll tell you either that it’s already installed (and that zero packages will be installed) or else it should install SSH. 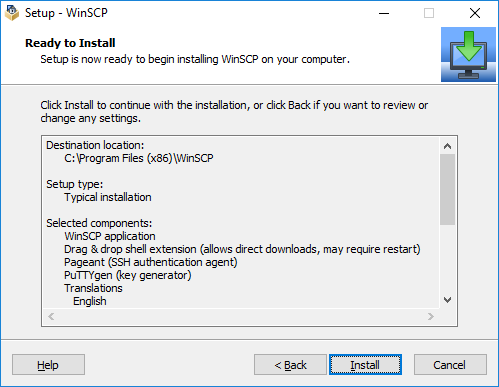 SSH is required for winSCP to connect. 2) There may be a firewall issue? 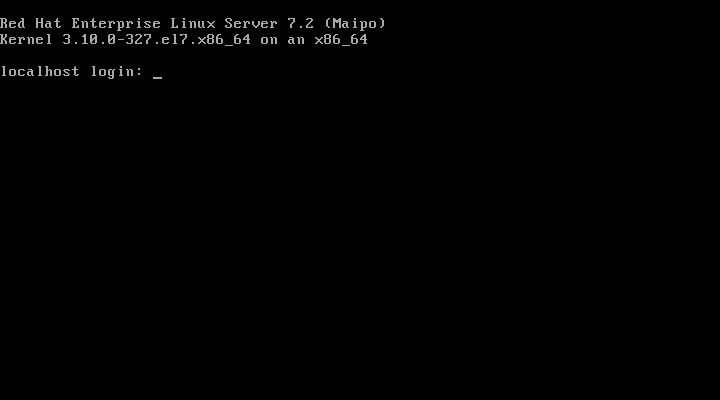 Try “sudo ufw allow 22” at the command line to open port 22 on the firewall for SSH. I would also guess that it’s possible that the networking settings which worked for me may not work for everyone? i.e. 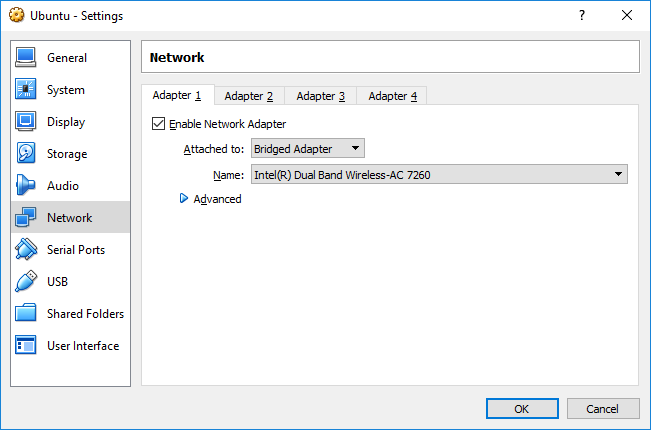 different network cards having different drivers, may not support the bridged connection. I’ve not come across this problem myself, but can’t rule it out. 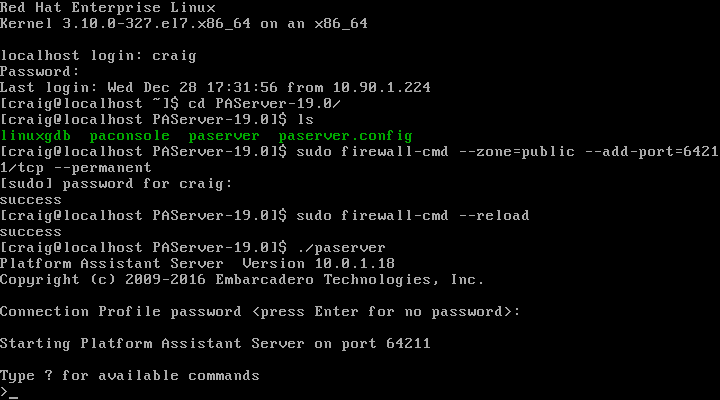 If you have access to a web server, you could upload the PAServer tar file to your web site, and then use the wget command in linux to download it. 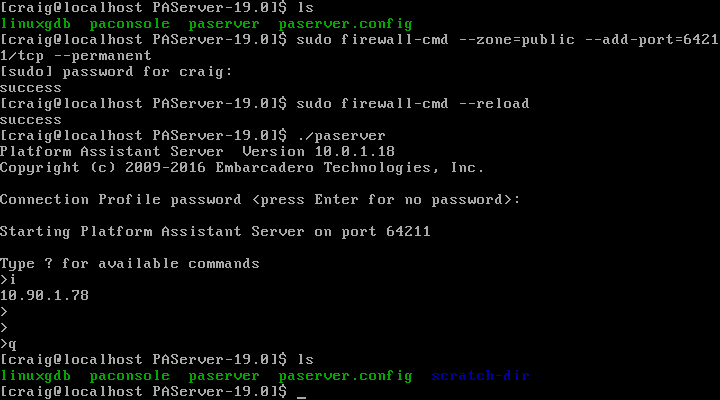 Assuming there is no firewall, and that networking is functioning as it should, you’ll then be able to connect to PA server. You also mentioned FTP access? 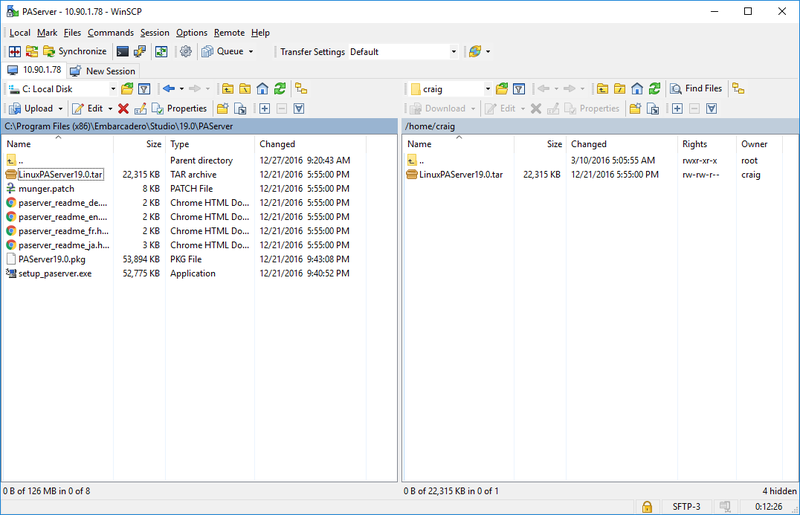 If you have FTP it’s as good a way as any to transfer the PAServer file. 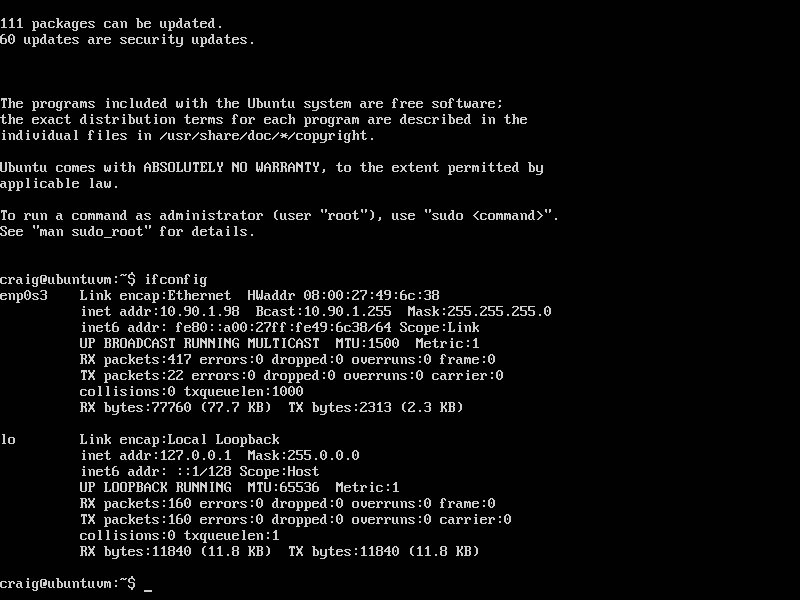 I used the sudo apt-get install openssh-server command and it installed the missing SSH. After it I used sudo ufw allow 22 command also and the WinSCP works fine. Thank you for your very useful tips. Did you hear about the FMXLinux project? I removed the error output because it’s very long. I am forwarding the error messages to our engineering team to take a look at, from what I can see there are missing dependencies on your system which may be down to a broken install or failed SDK import. I will connect with you via email (the address you gave to post this comment) regarding any follow up from our engineering team. Simple hello world app doesn’t compile as it doesn’t find the libs. So I wanted to know whether something was wrong on my side. 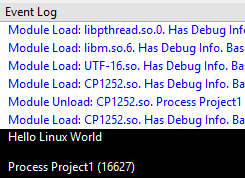 The hello world sample compiles with 137 errors, each time, on both platforms. Unfortunately, my claim that it ought to work on other distributions may have been optimistic. I am experimenting with this to see if I can make any progress, however, as you say there are differing library versions which may prohibit this from working. Did you try with either CentOS7 or Fedora25? I did not. I only went for the officially supported systems. What kinds of problems did you run into?